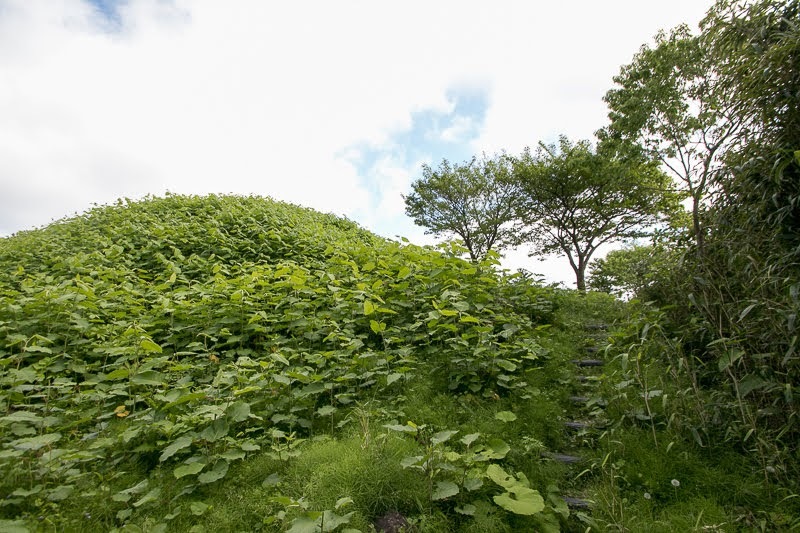 Yamane castle (山根館) is located on the hill of about 100 meter height from hillside at 4 kilometer southward from the center of current Nikaho city. 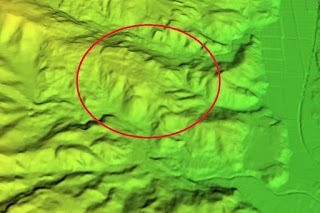 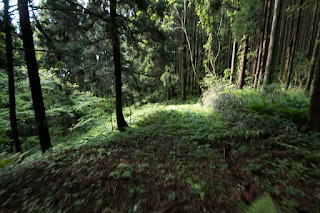 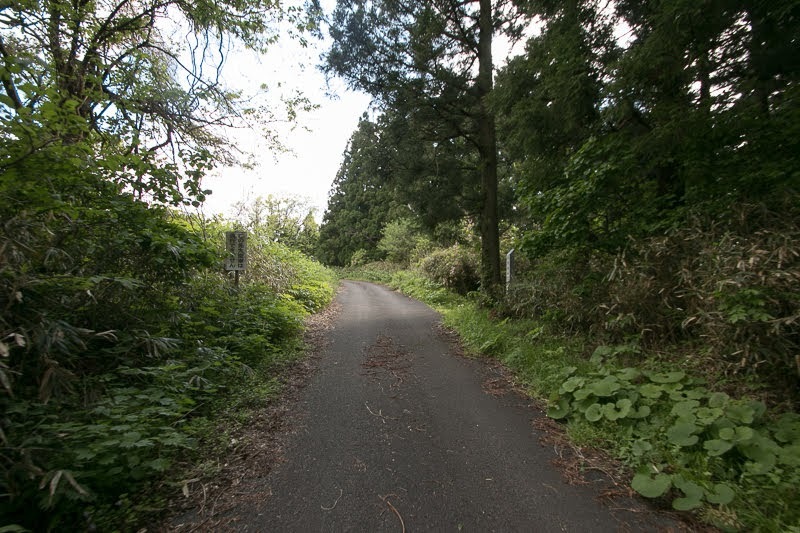 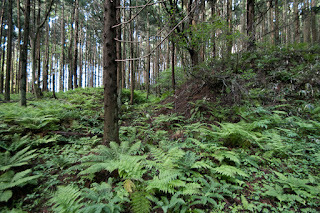 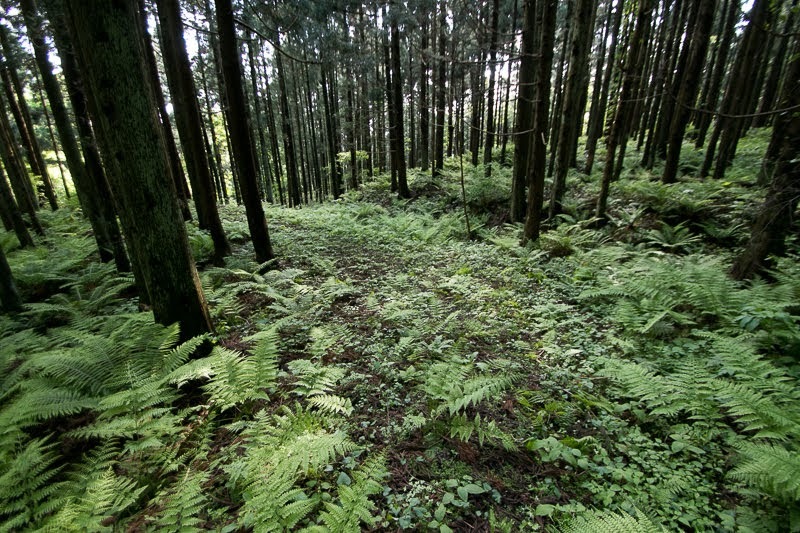 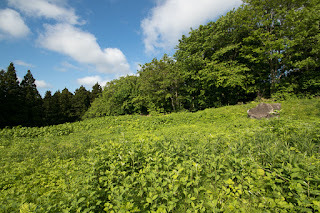 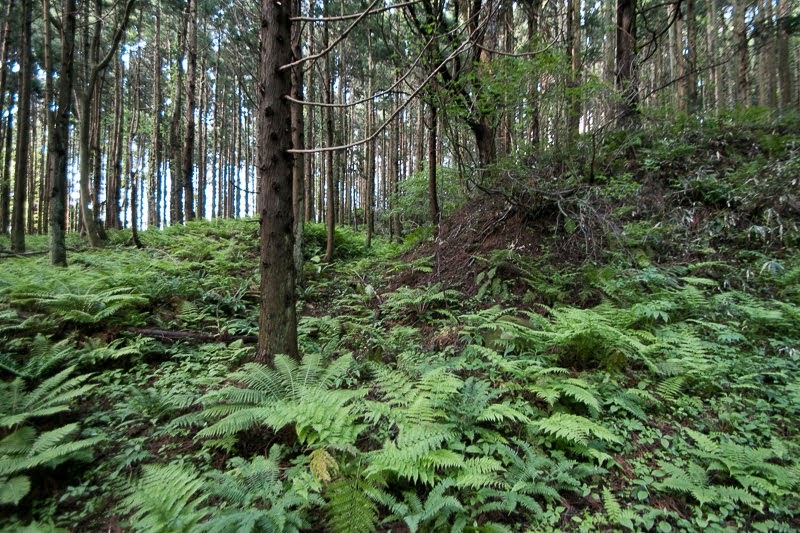 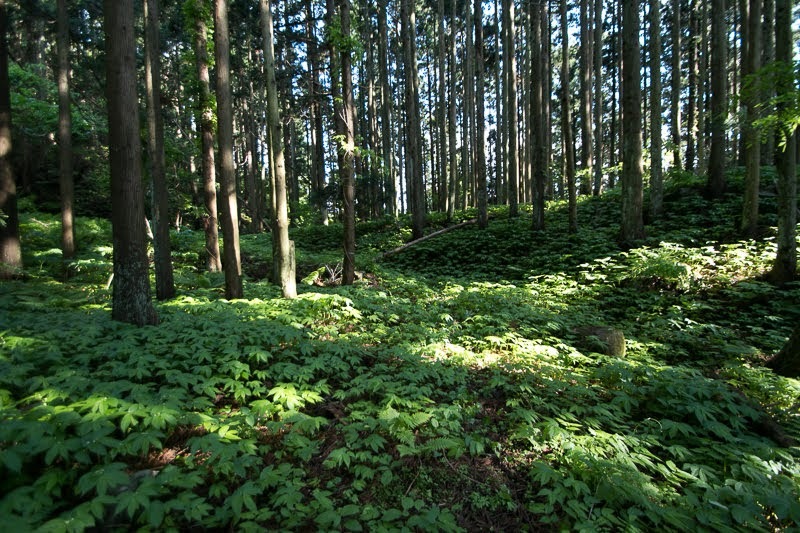 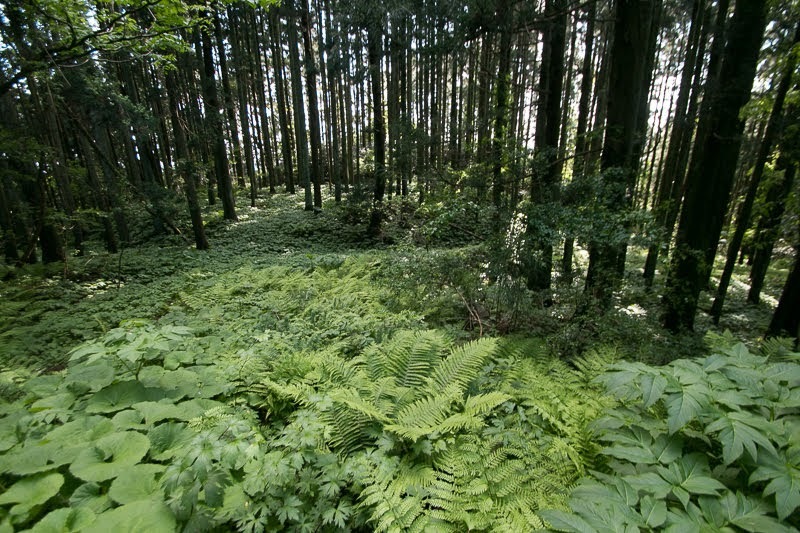 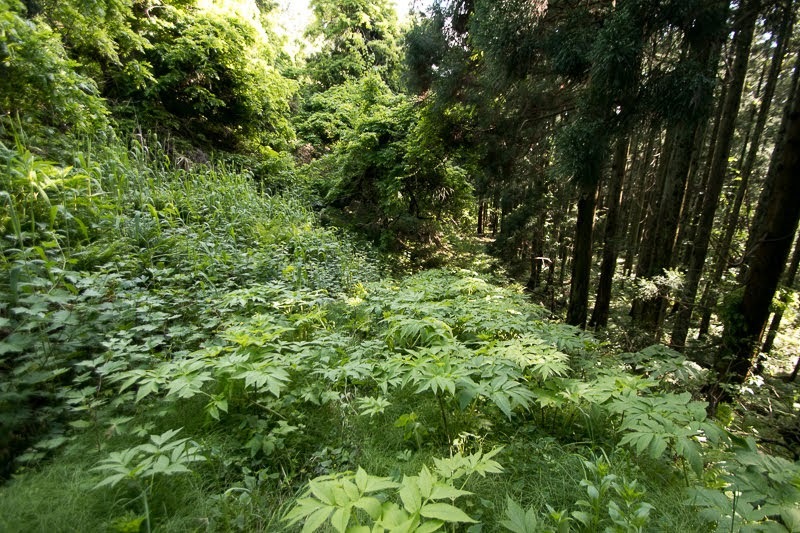 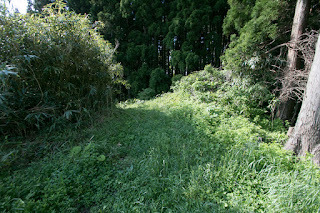 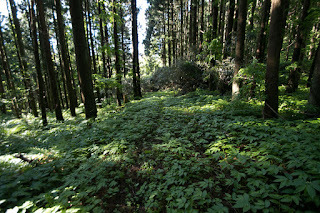 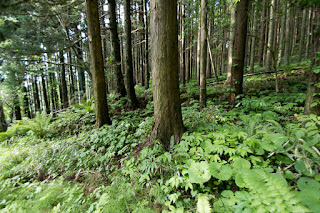 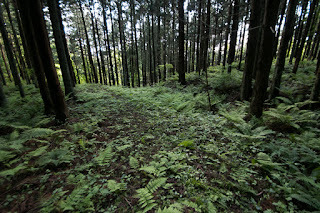 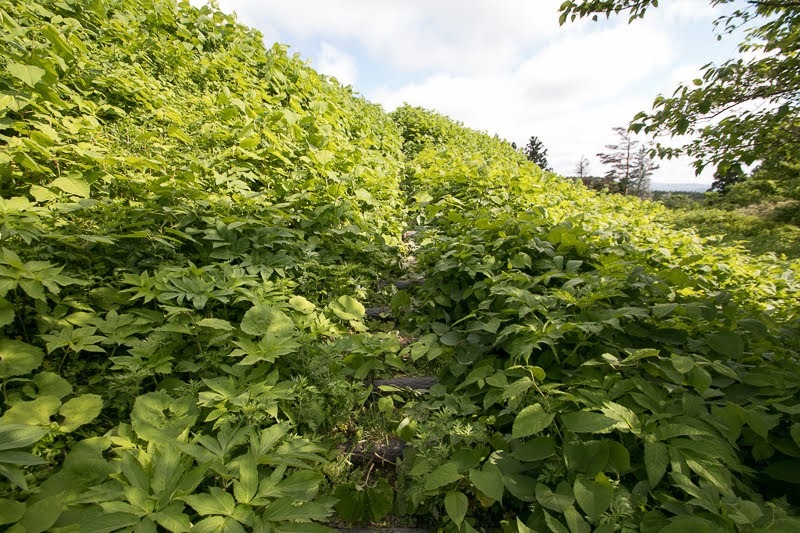 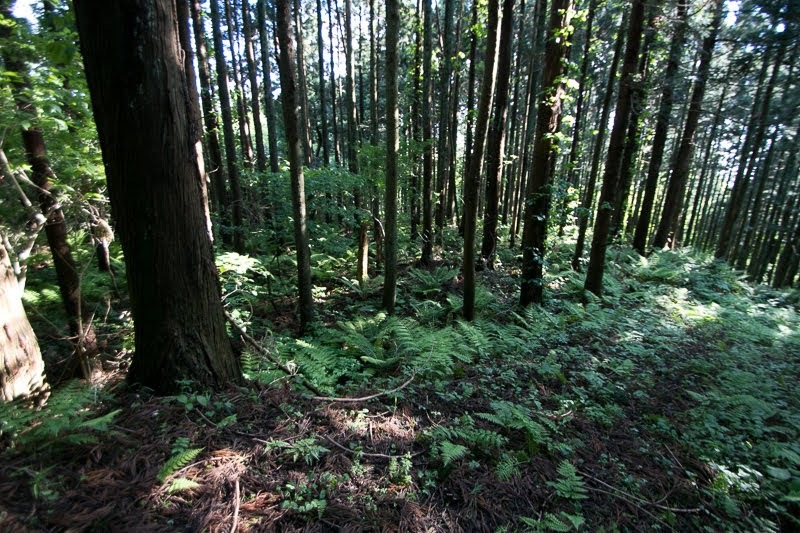 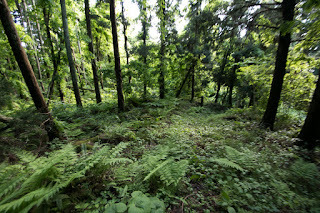 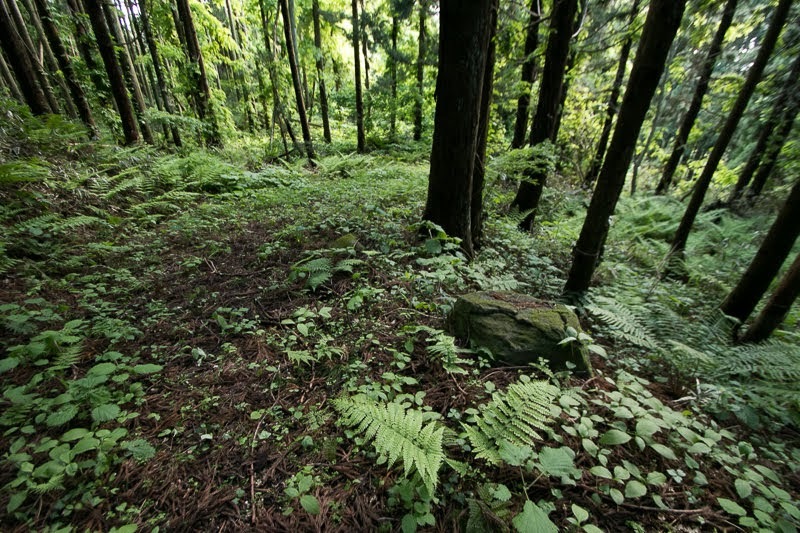 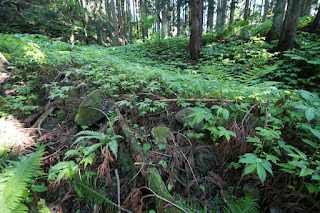 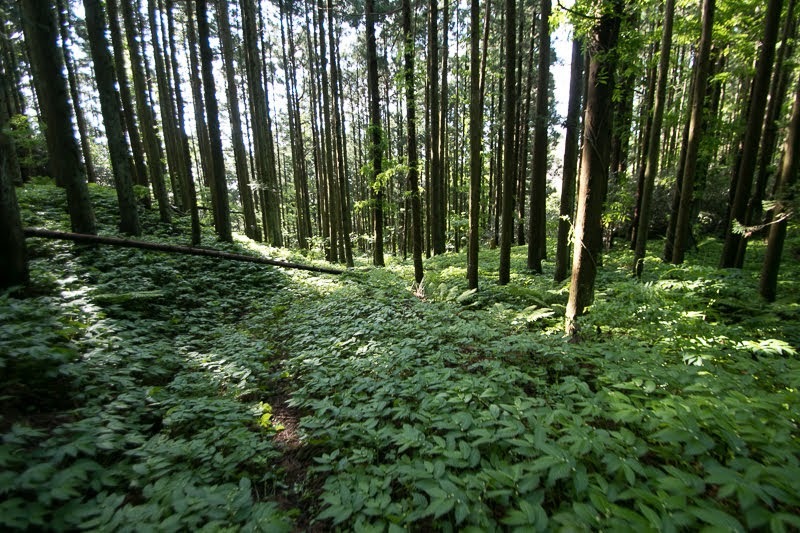 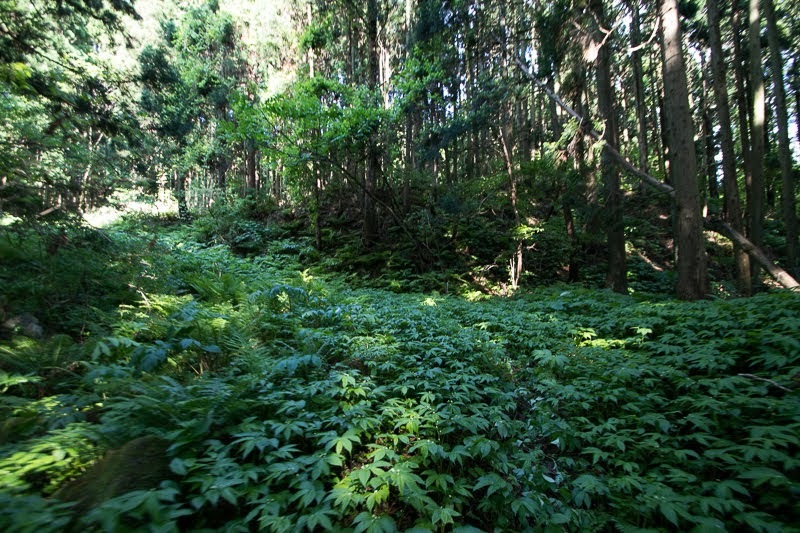 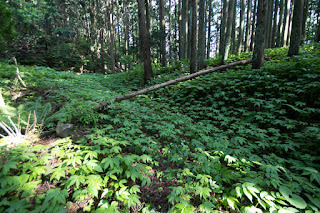 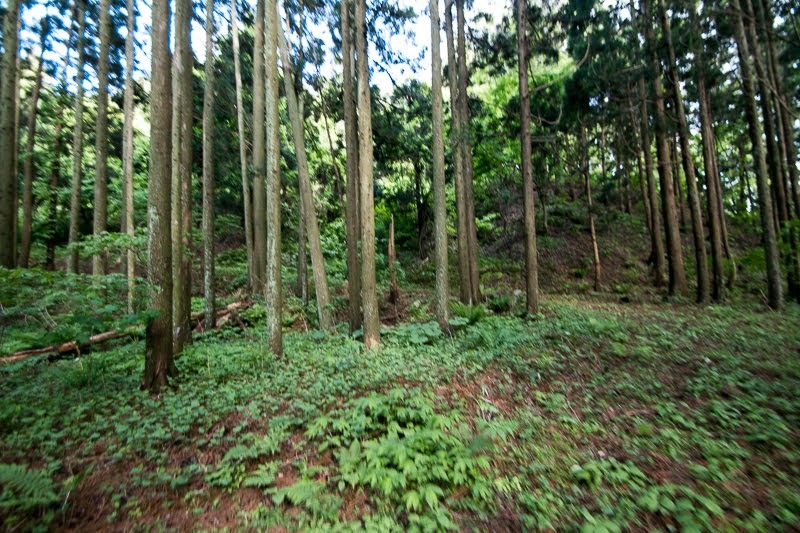 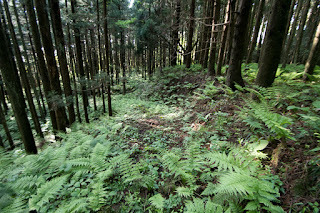 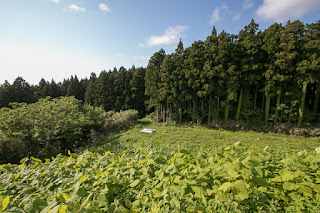 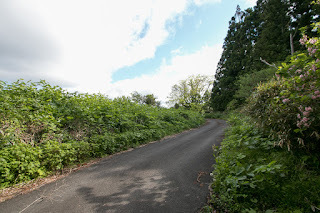 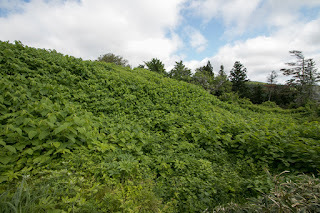 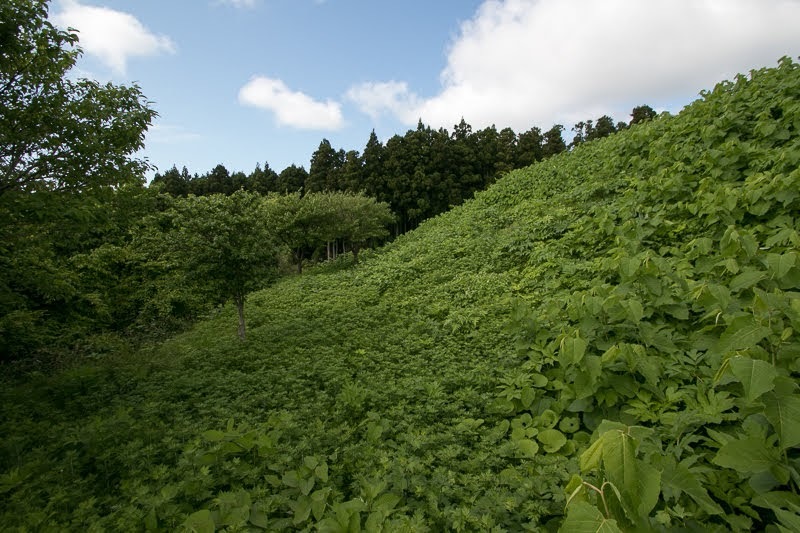 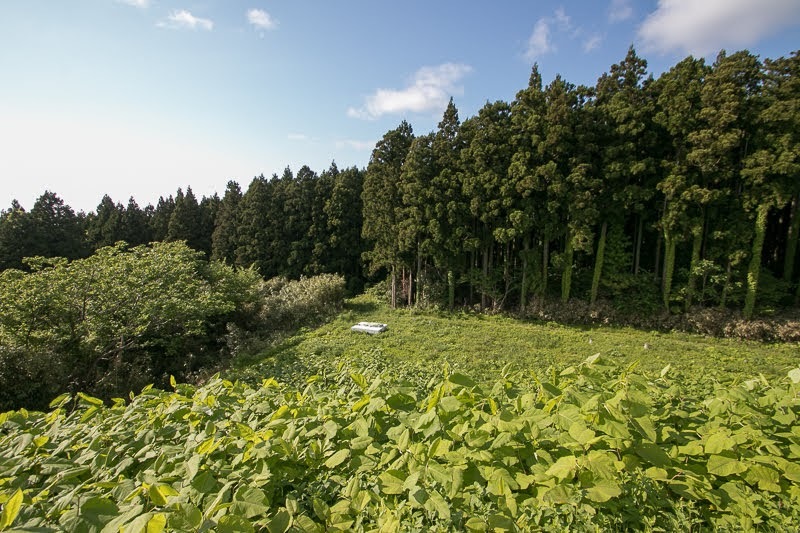 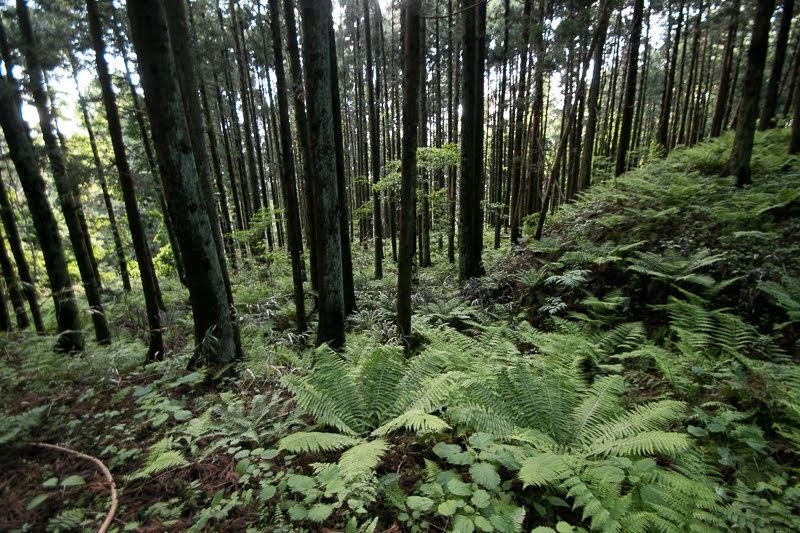 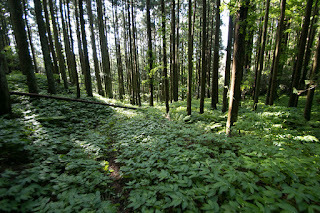 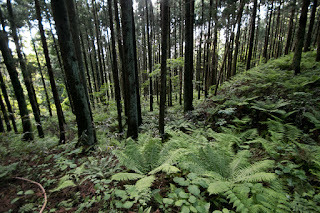 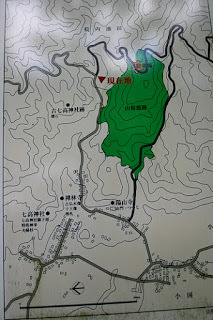 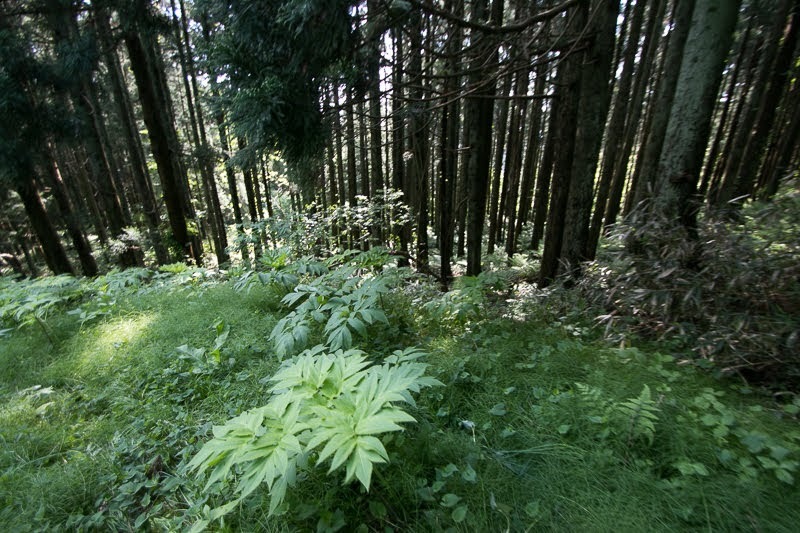 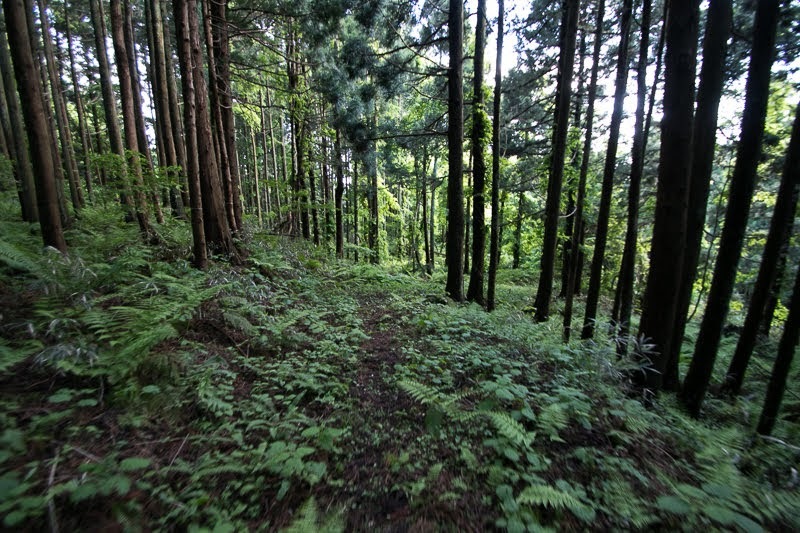 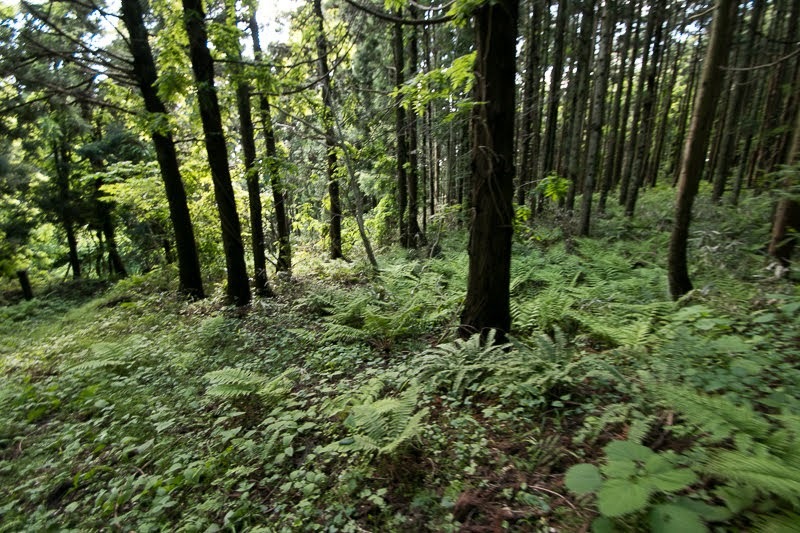 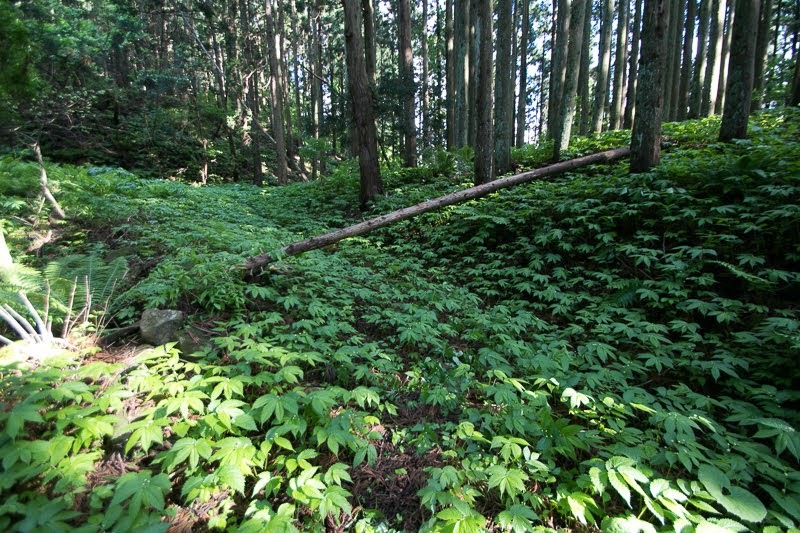 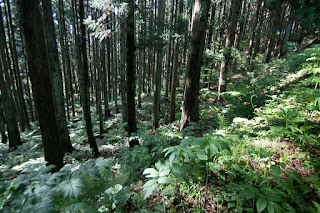 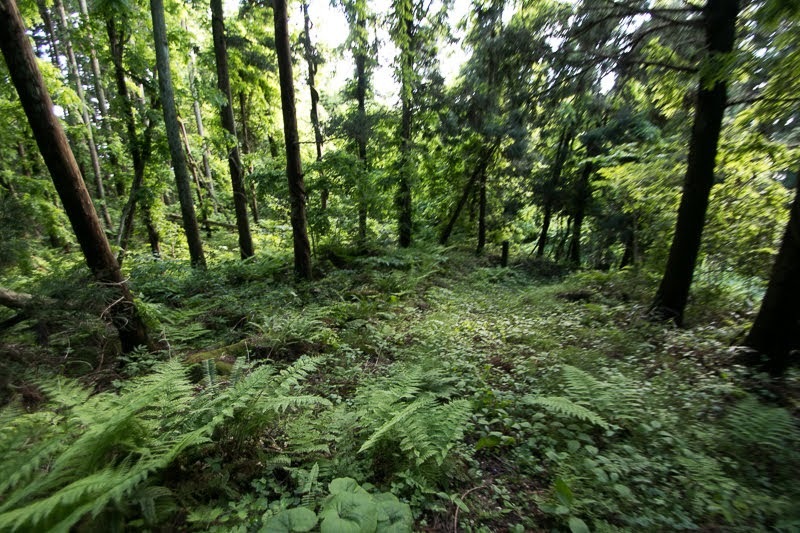 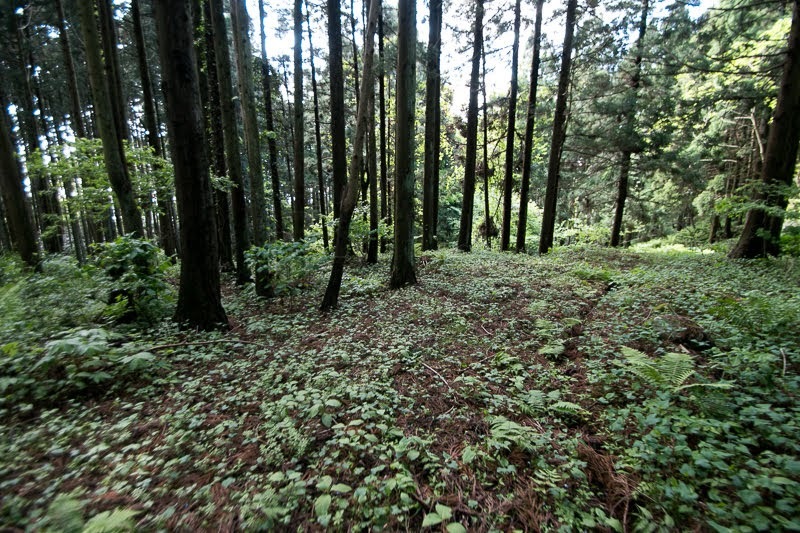 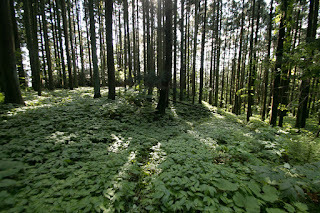 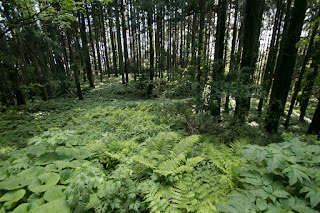 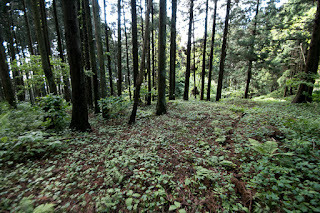 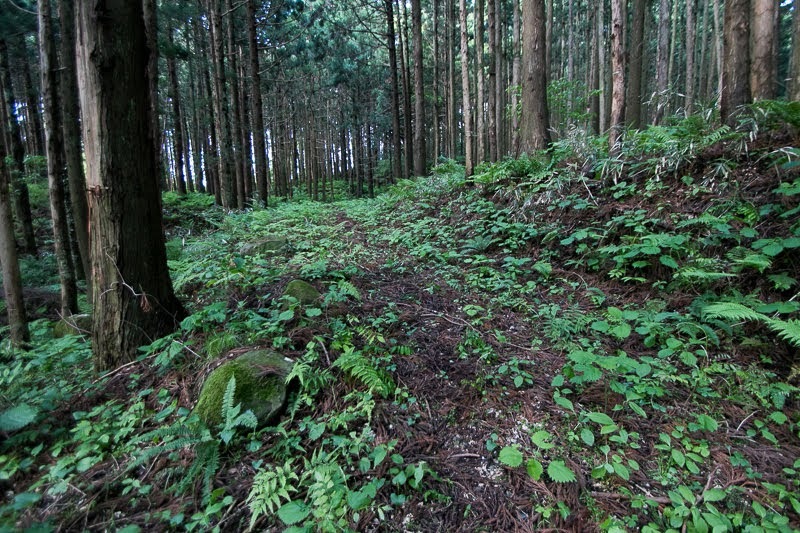 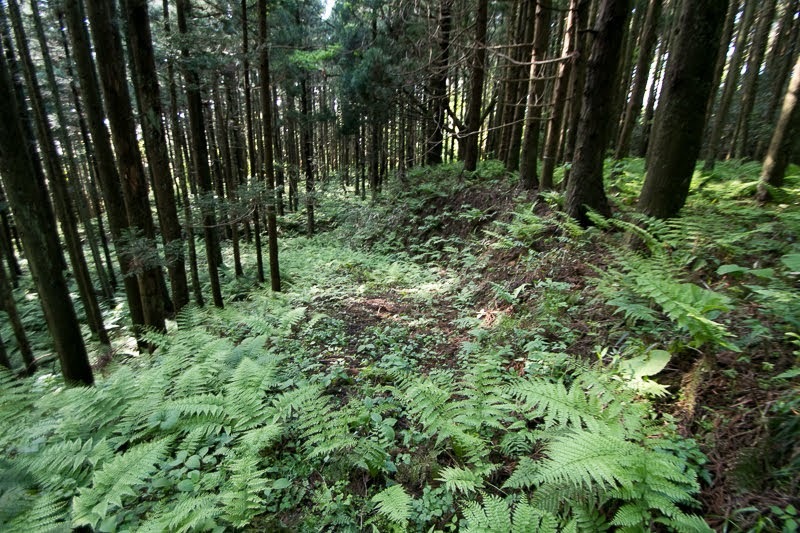 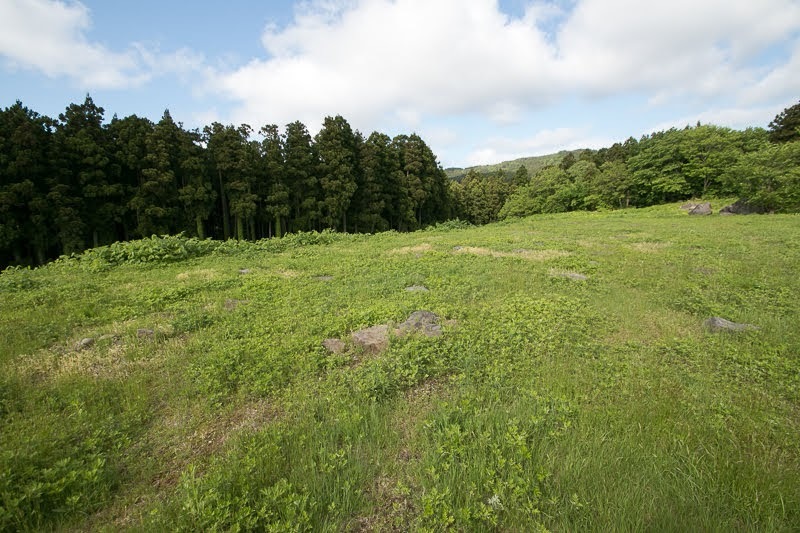 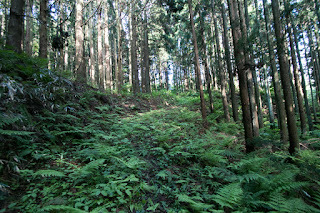 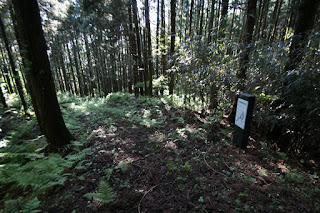 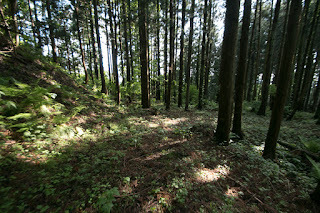 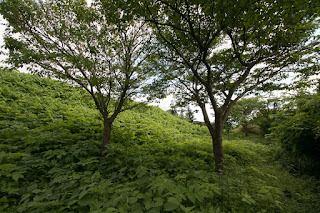 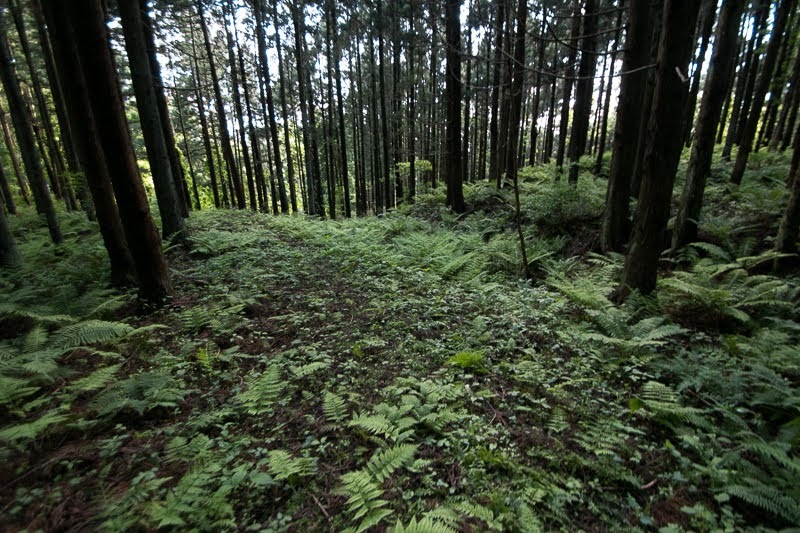 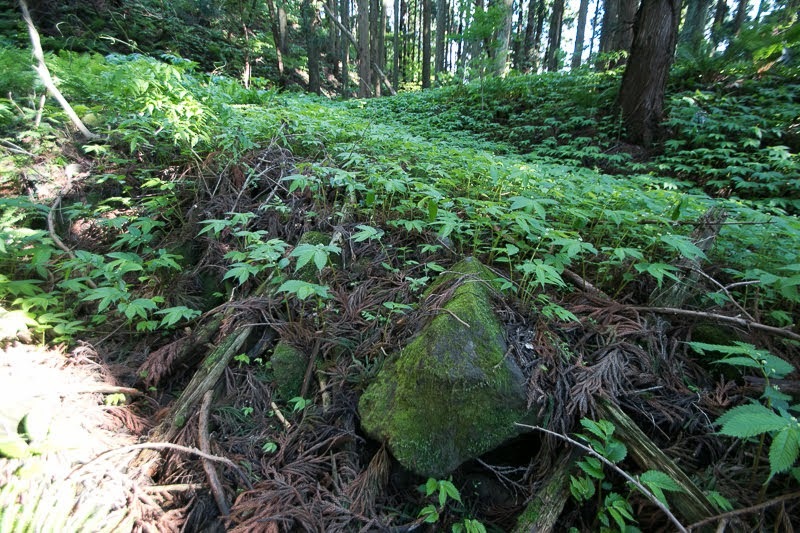 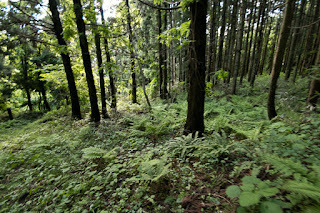 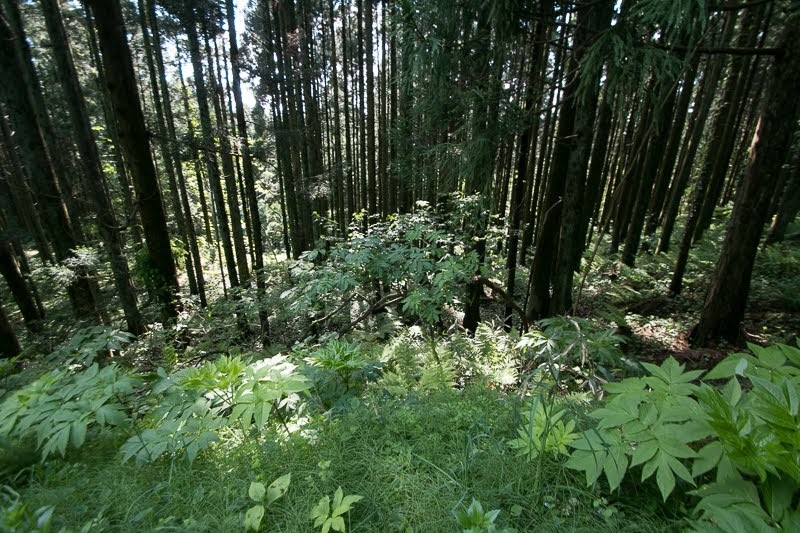 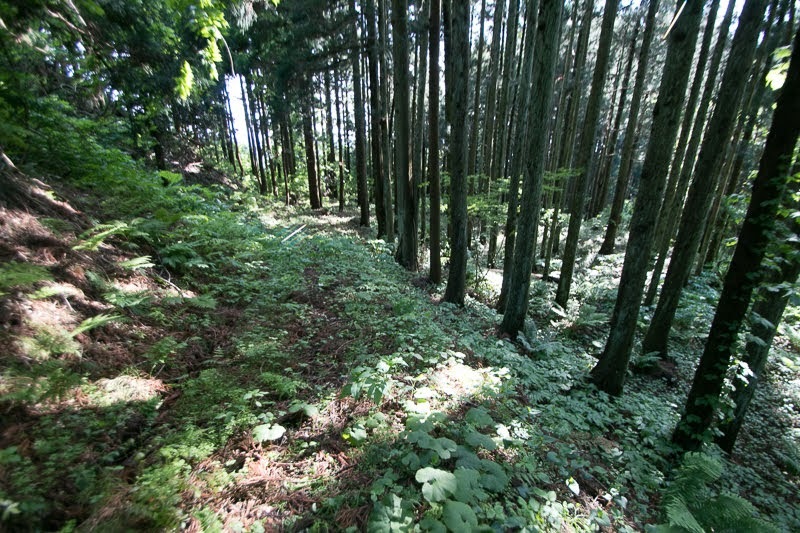 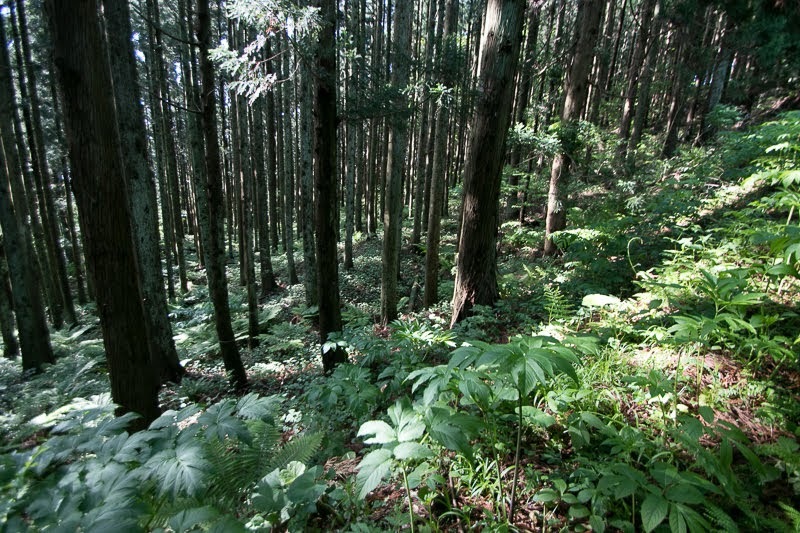 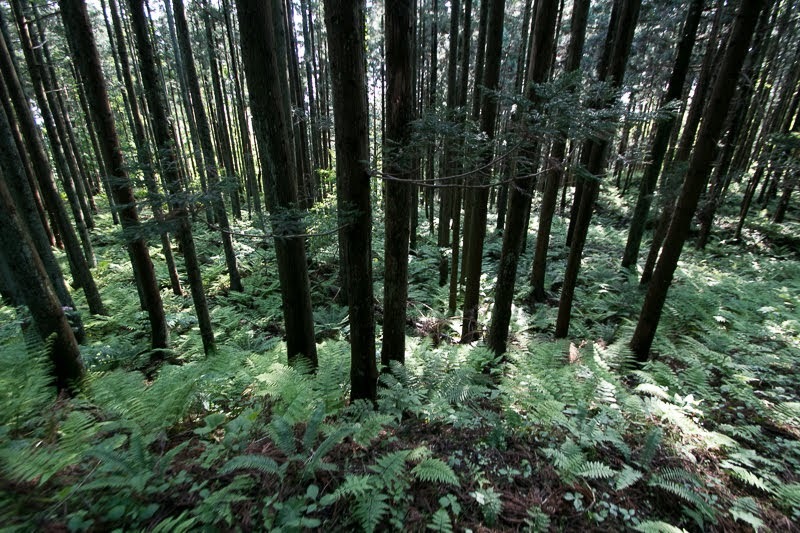 Nikaho area is a small triangle shaped flat area of about 3 kilometer long between Mt. 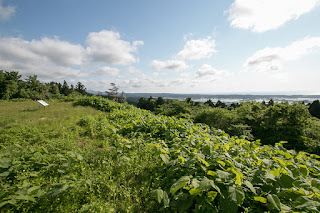 Chokai and the Sea of Japan, at the southern edge of current Akita prefecture. 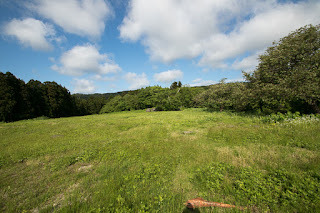 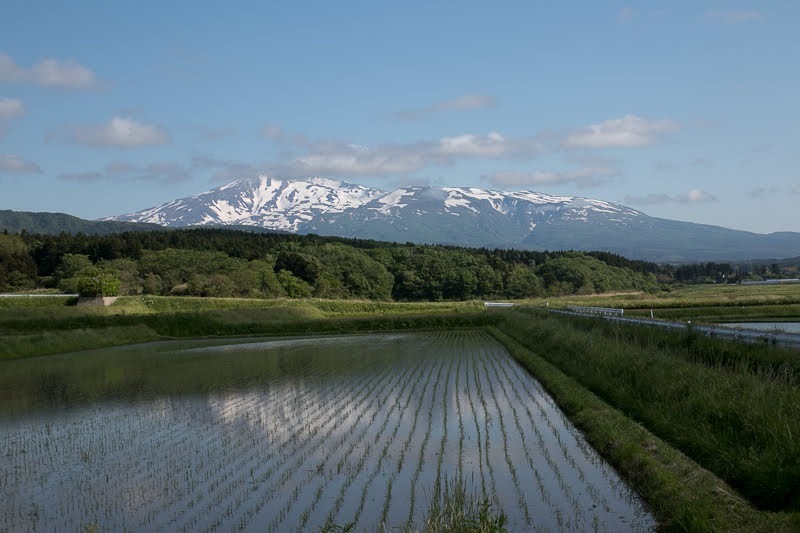 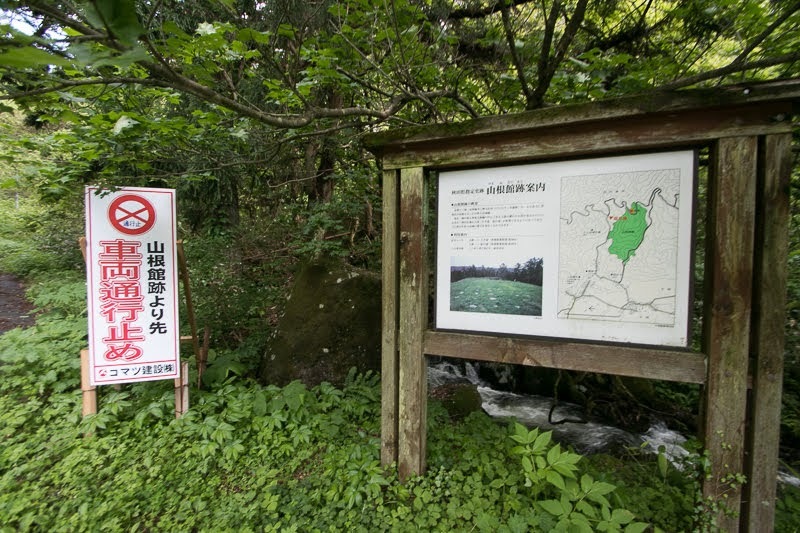 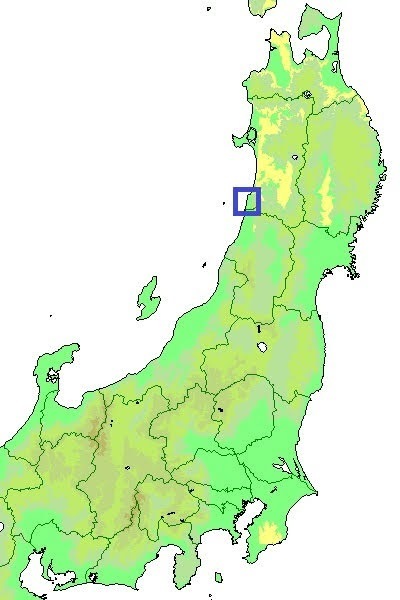 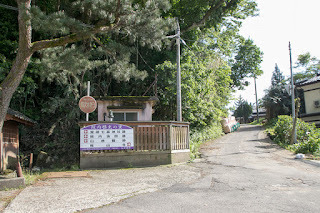 In spite of its small size, this area had been an important area connecting current Yamagata prefecture and Akita prefecture, especially for Sakata area and Yuri Honjo area. 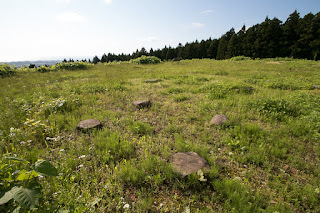 Besides, there is Kisagata area just at the south of Nikaho area which was known for its beautiful shape of floating islands but disappeared because of the land rise by large earthquake. 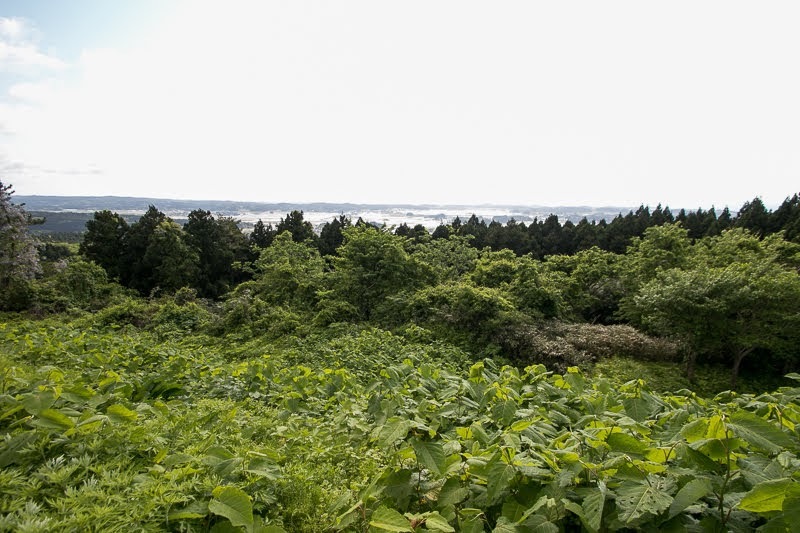 After the fall of Oshu Fujiwara clan once seized north half of current Tohoku region by the subjugation of Kamakura Shogunate, Yuri area was once managed by Yuri clan, which was the retainer of Oshu Fujiwara clan but was forgiven. 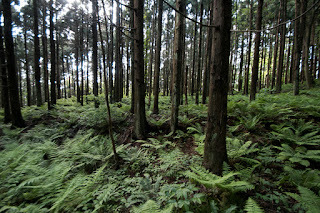 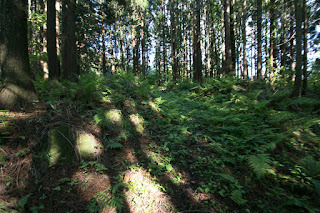 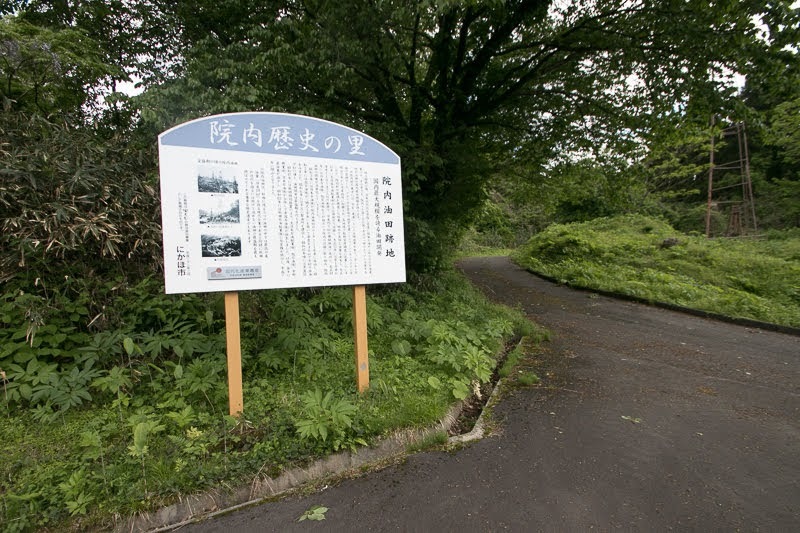 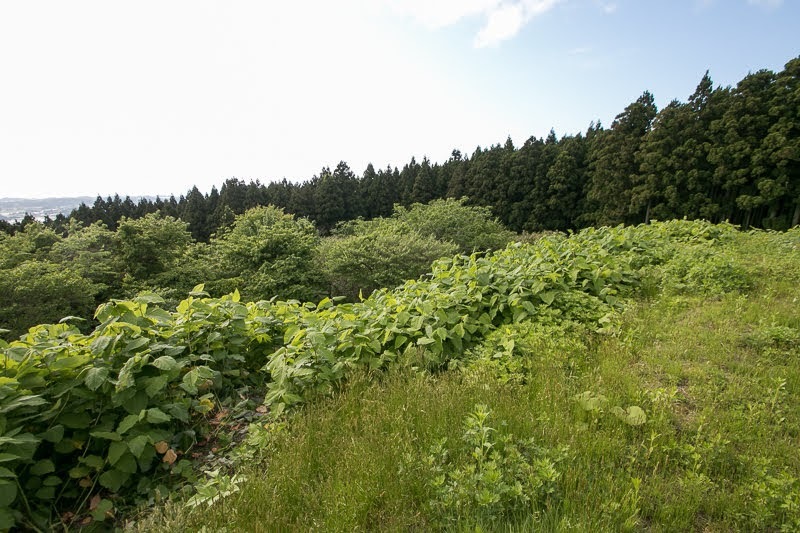 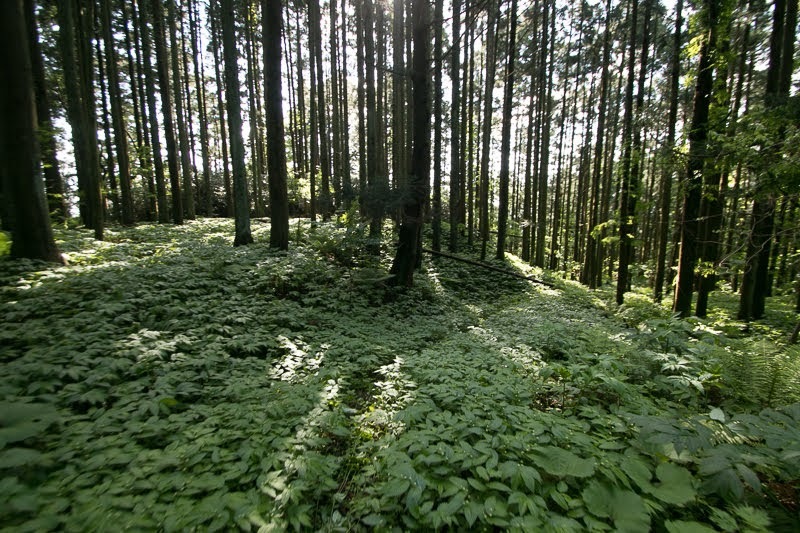 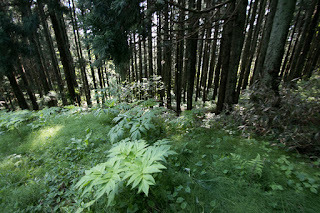 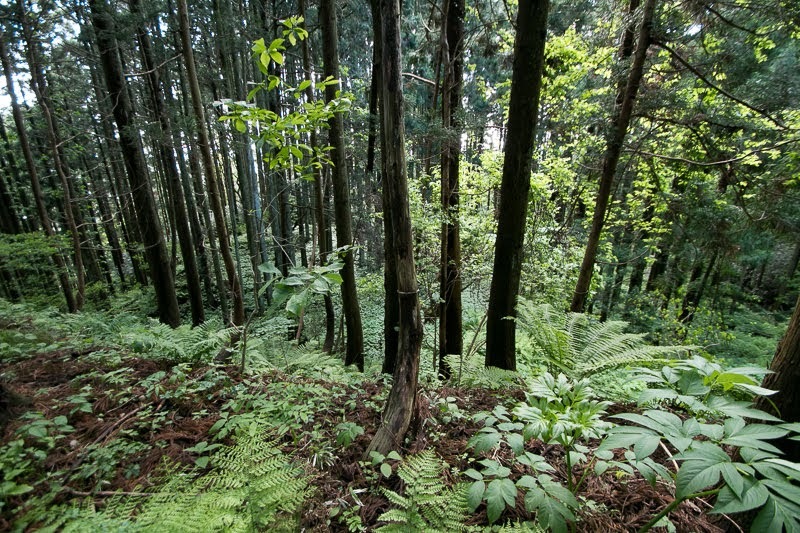 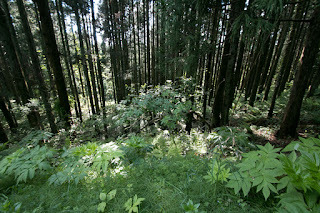 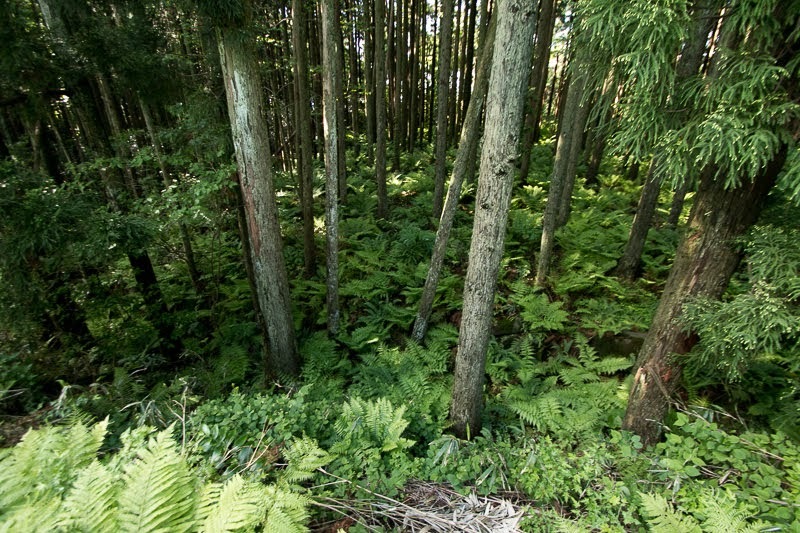 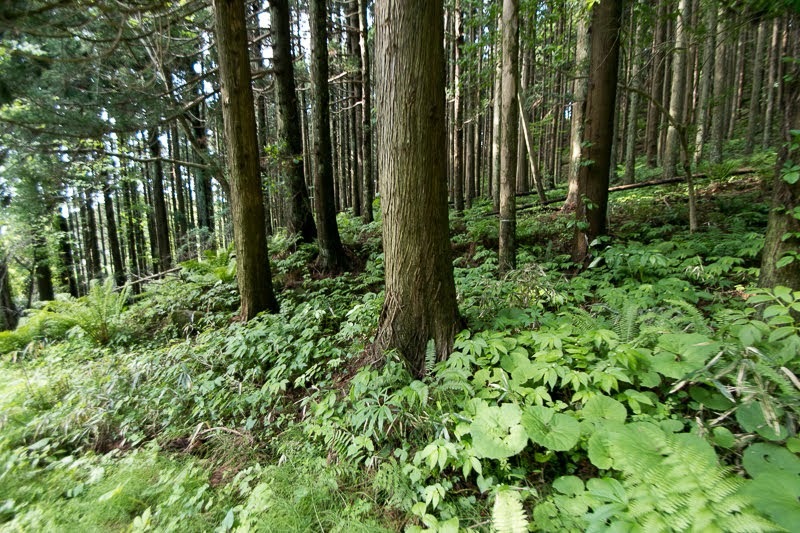 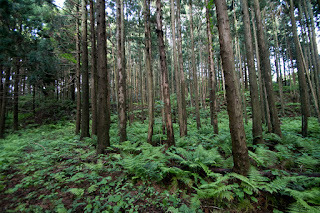 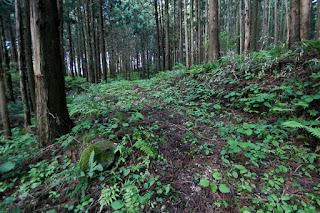 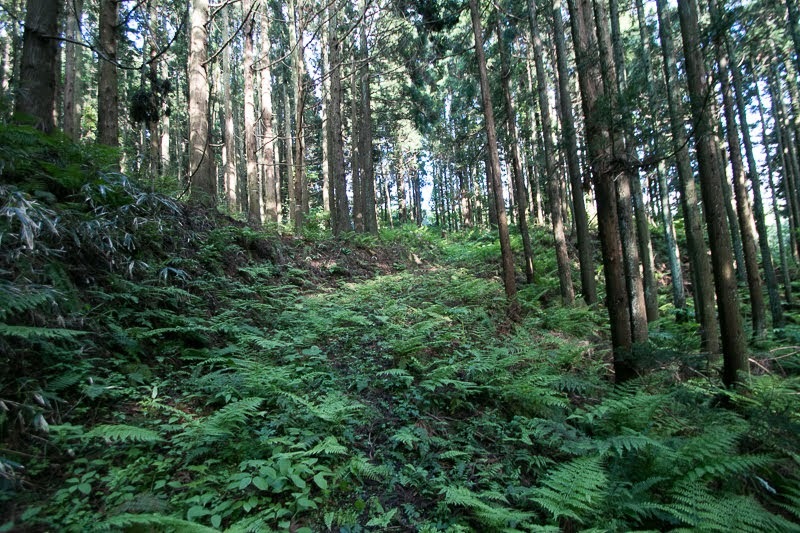 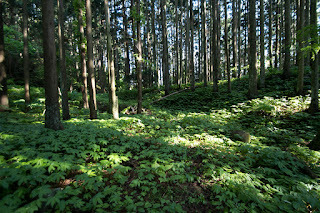 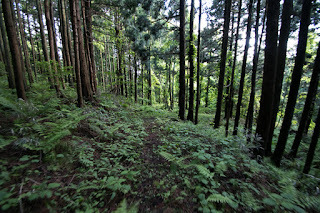 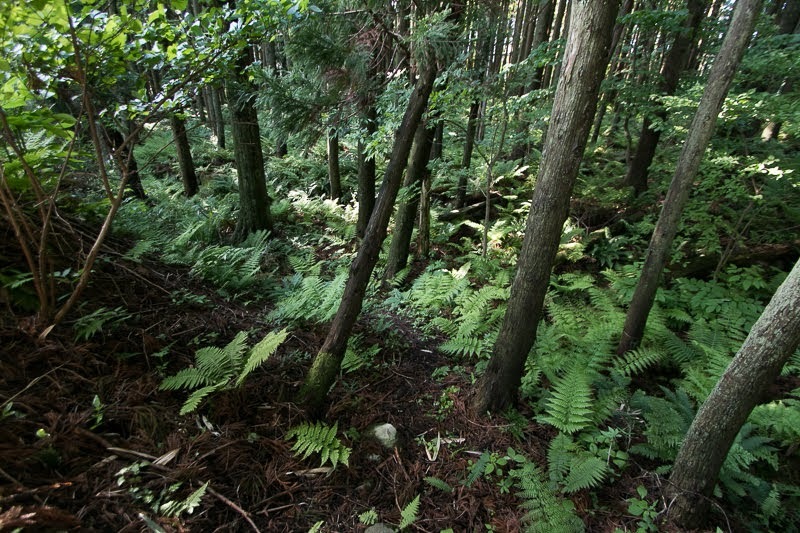 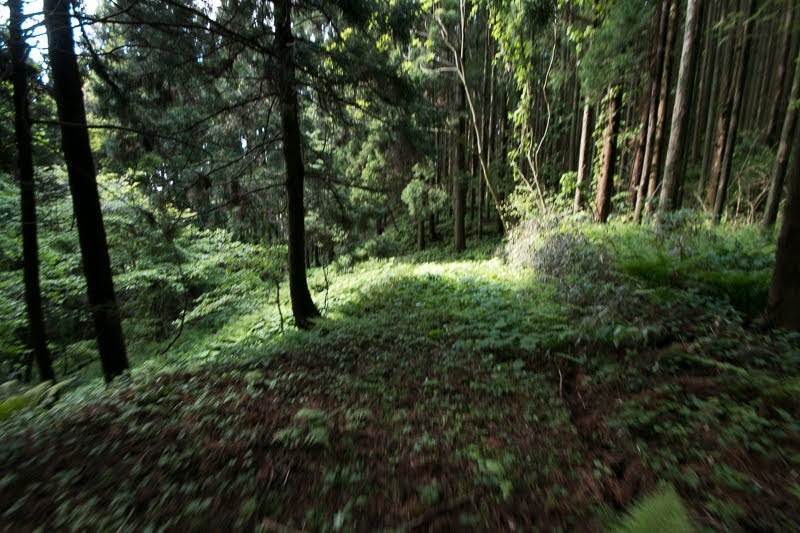 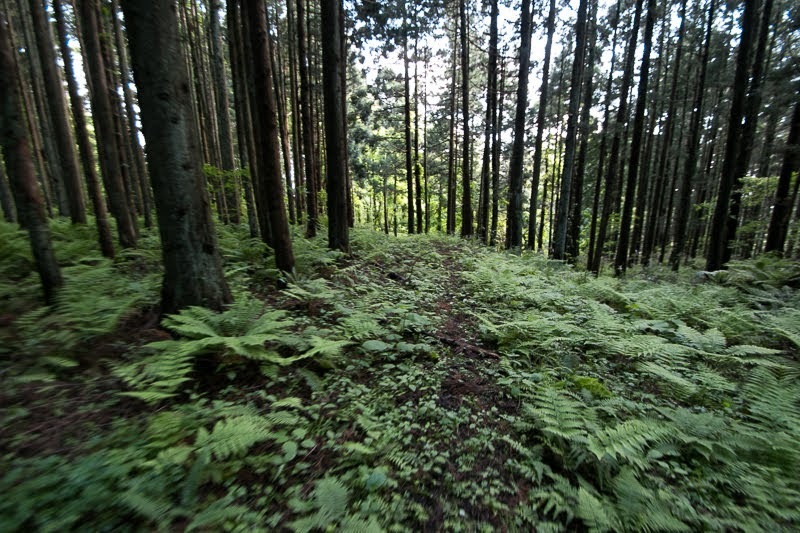 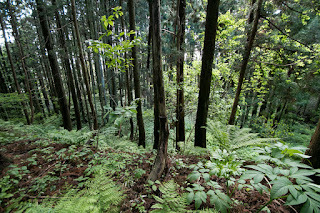 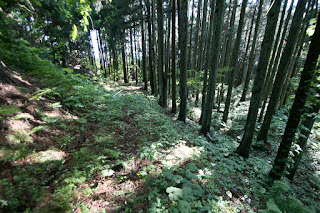 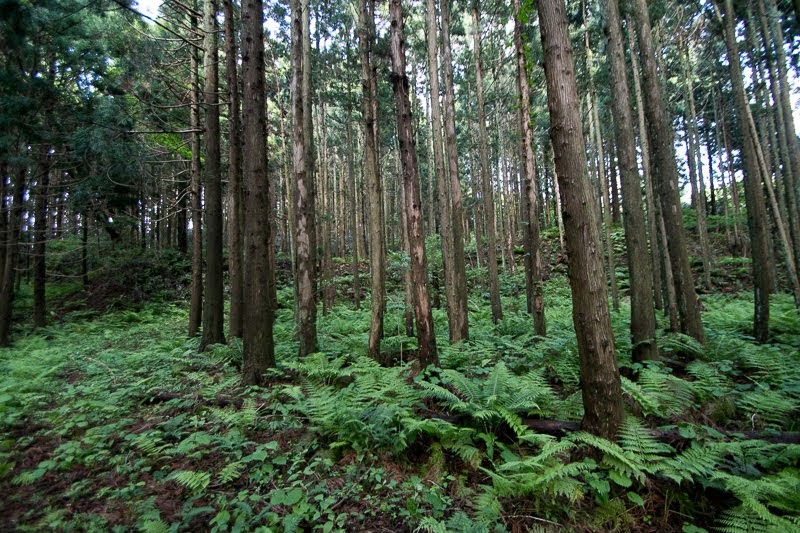 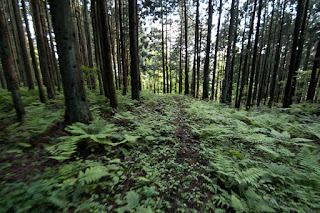 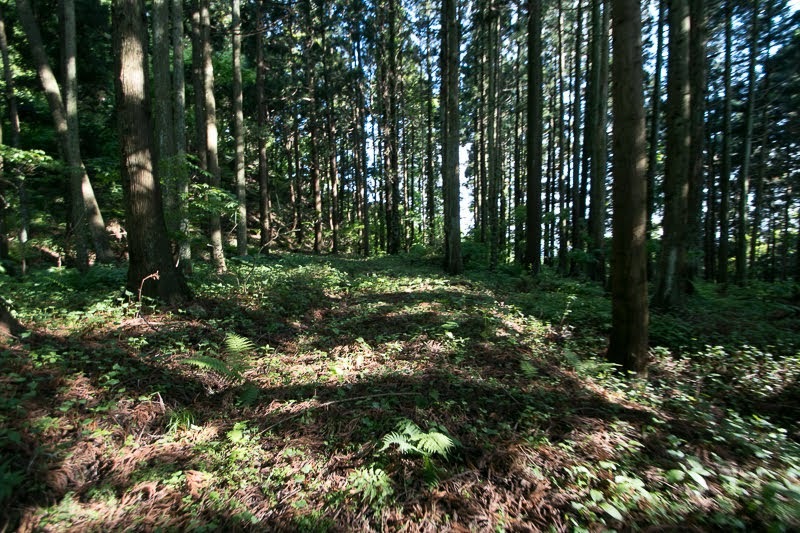 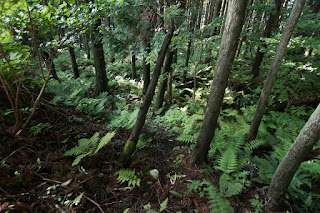 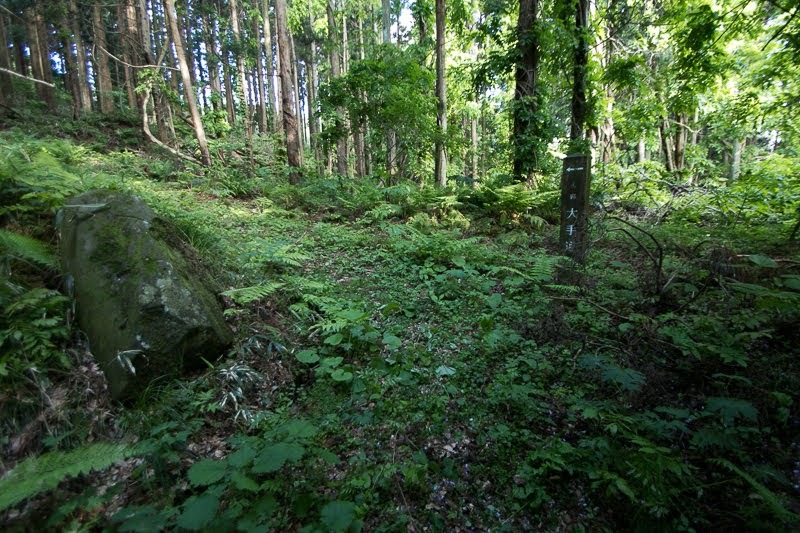 On the other hand, Nikaho area was kept by local lord Chokai clan. In 15th century, Chokai clan once ruined Yuri clan but also lost power by internal conflict then disappeared. Upon the confusion after the loss of Yuri clan and Chokai clan, local residents asked Muromachi Shogunate to send the governor then local lords which were descendants of Ogasawara clan and resided at Shinano province (Nagano prefecture) moved to Yuri area and Nikaho area. 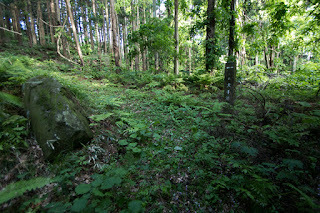 Nikaho clan was one of these lords and said to move to Nikaho area in the middle of 15th century. 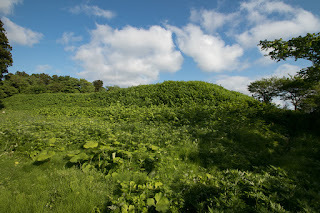 Nikaho clan at first lived at Machii castle at flat area then moved to Yamane castle, which was the main base of Yuri clan at a secure place. 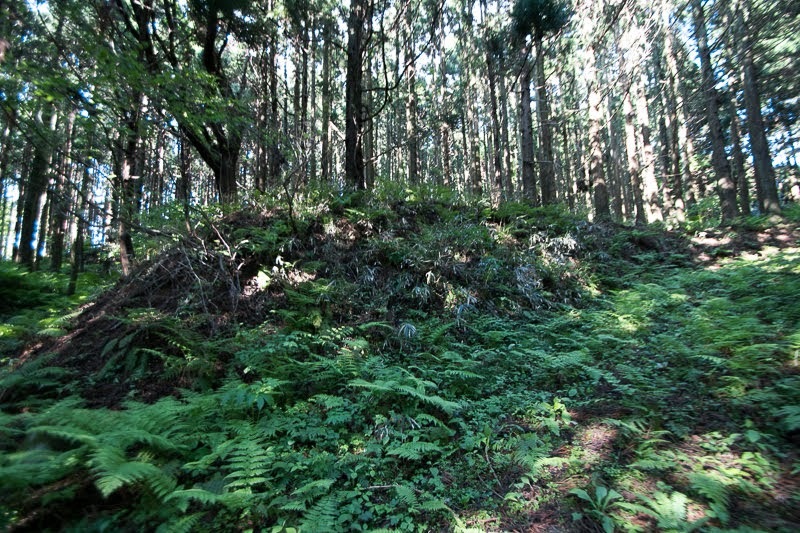 Locating at Yamane castle, Nikaho clan gradually grew to the leader of local lords. 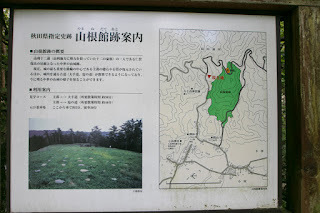 Local lords of Yuri area and Nikaho area was later called as Yuri Juni To, which means twelve lords of Yuri area. 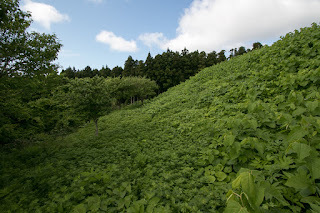 Nikaho clan was the one of the two leaders of these clans along with Yajima clan at Yuri area, but because of the limited production and population, they were strongly affected by external strong powers, such as Onodera clan at Yokote basin or Daihoji clan at Sakata area. As the closeness of Nikaho area to Sakata area and Yuri area to Yokote area, Nikaho clan was close to Daihoji clan at Sakata area and Yajima clan followed to Onodera clan at Yokote area. 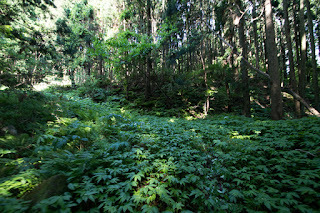 Daihoji clan aimed expansion under the support of Uesugi clan, the strong warlord of Echigo province (Niigata prefecture), and it was critical for inland Onodera clan to seize coast area. 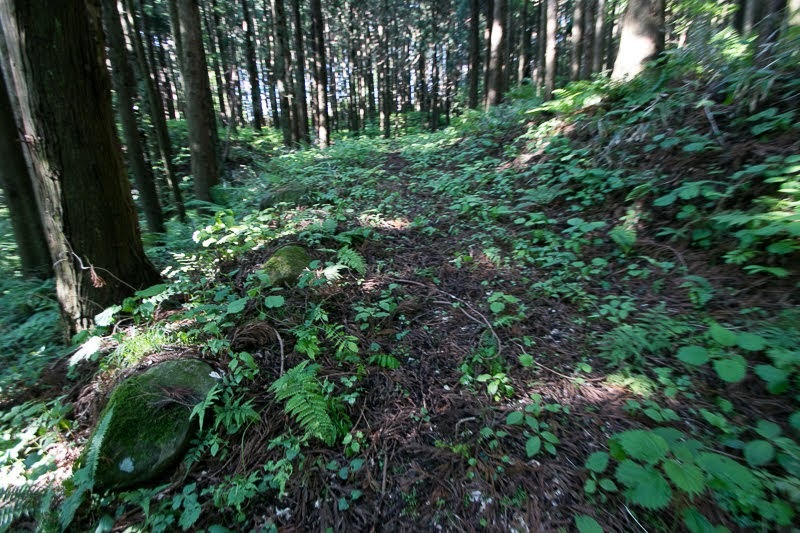 Under such situation, Nikaho clan and Yajima clan continued fierce battle as a proxy of their masters. As Nikaho area had smaller population than Yuri area, Nikaho clan was inferior to Yajima clan then leaders of Nikaho clan died in the battles. 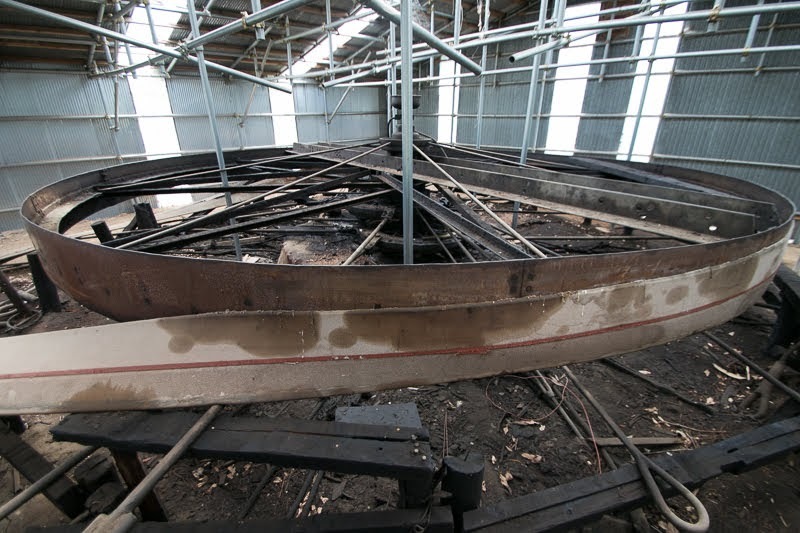 But Nikaho clan expanded Yamane castle as their fortress and survived this severe situation. 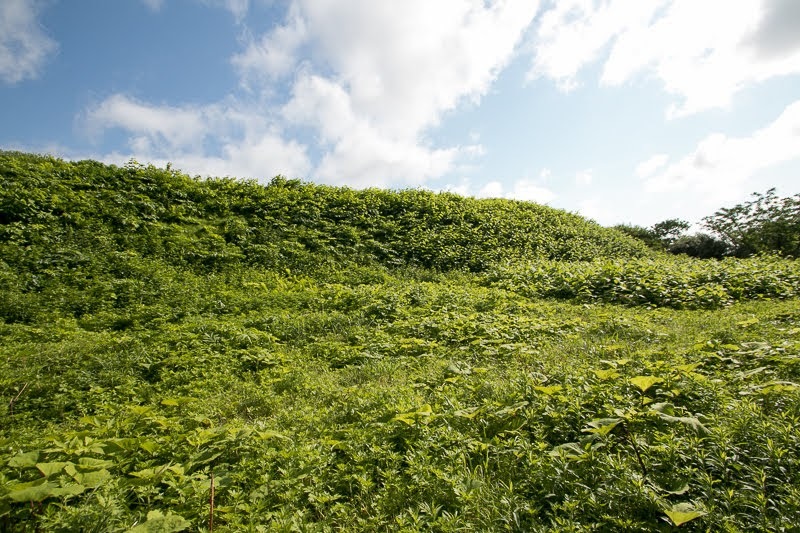 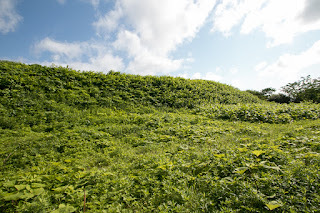 Yamane castle is built at a place where the plateau from Mt. 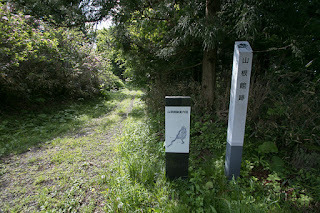 Chokai is separated by two deep valleys of tributaries of Osawagawa river which forms Nikaho area. 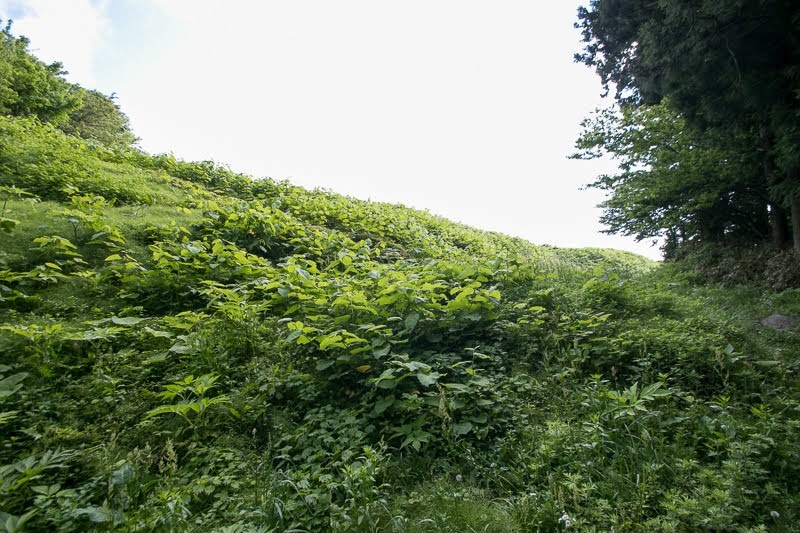 Castle area spreads over the gentle slope spreads toward west, ending by the valley separating the western end of the height as a scissor. 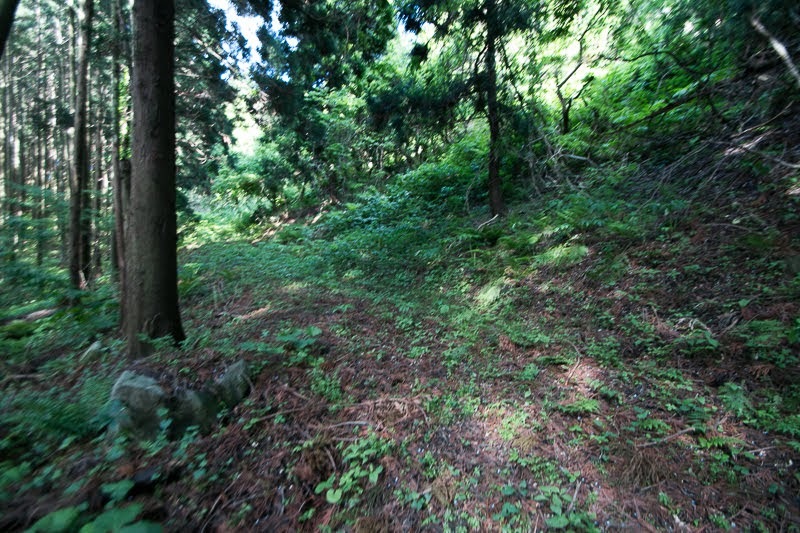 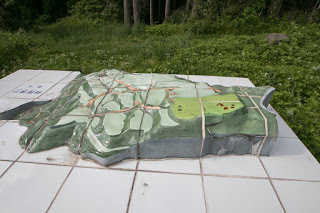 Central area of the castle is a rectangular one of about 100 meter long and 50 meter wide. 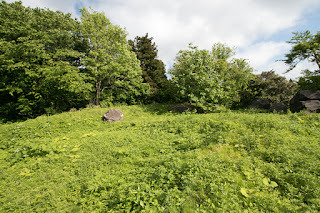 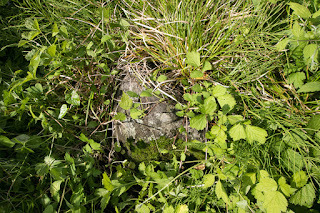 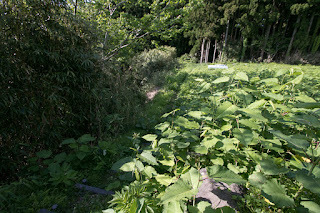 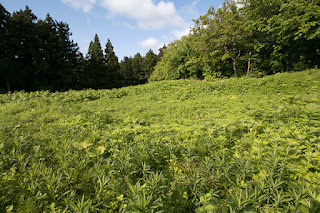 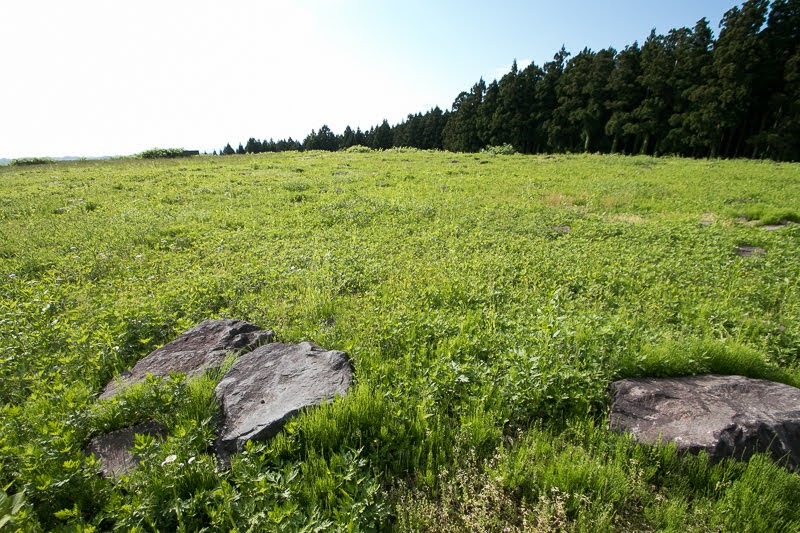 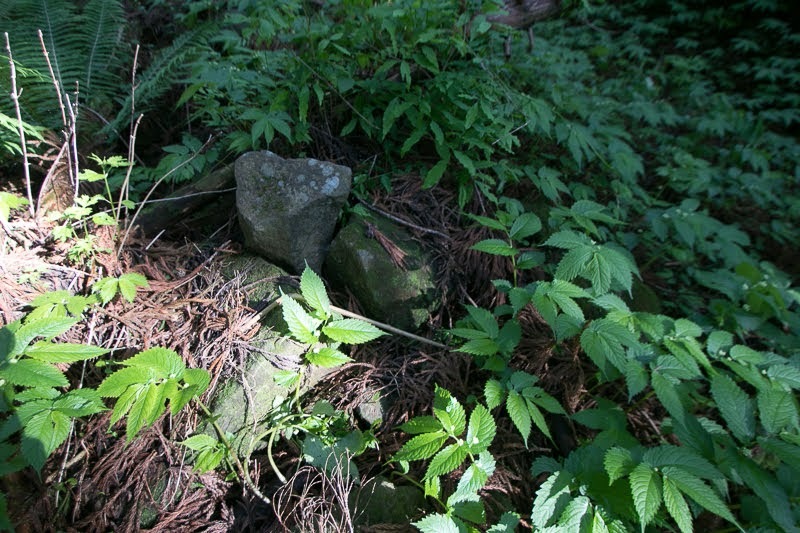 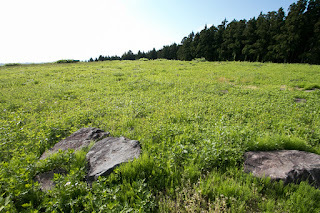 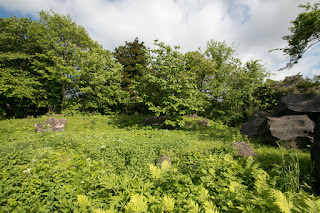 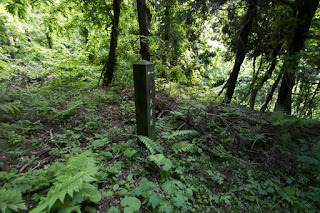 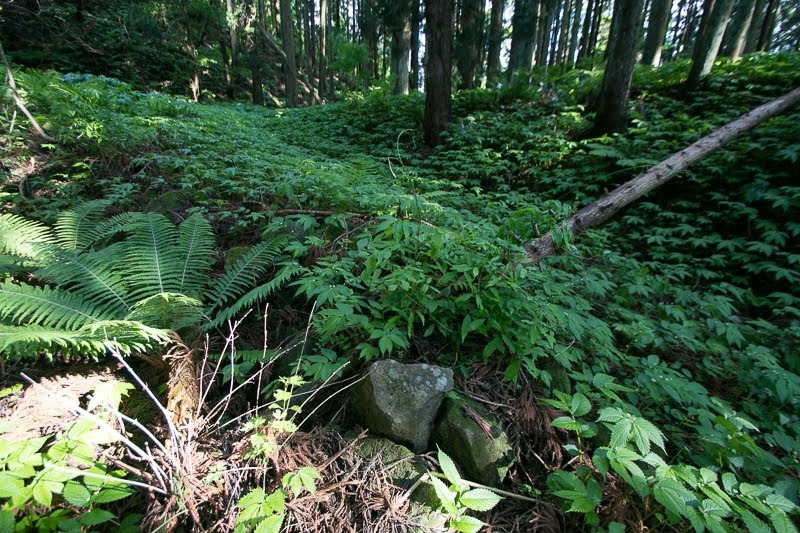 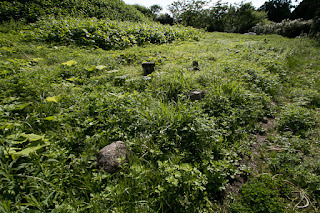 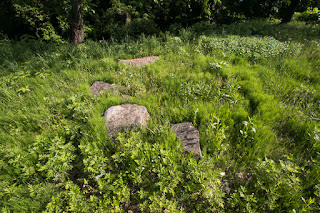 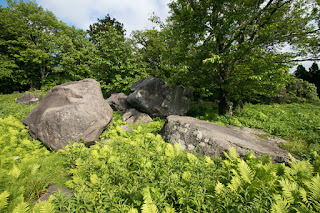 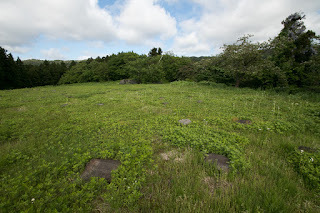 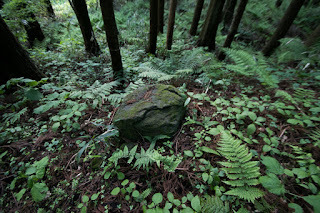 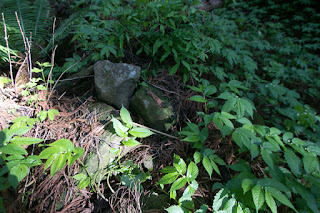 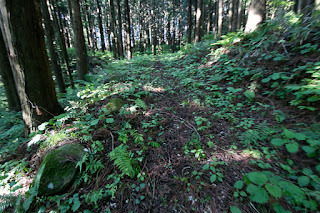 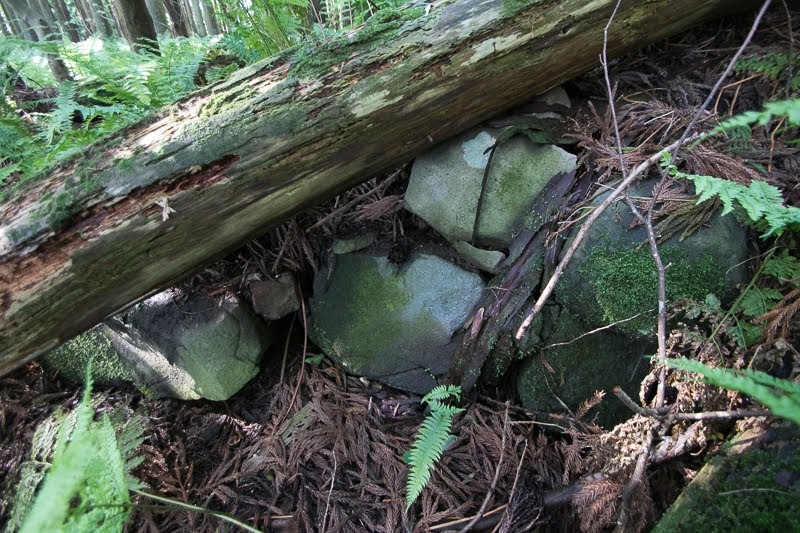 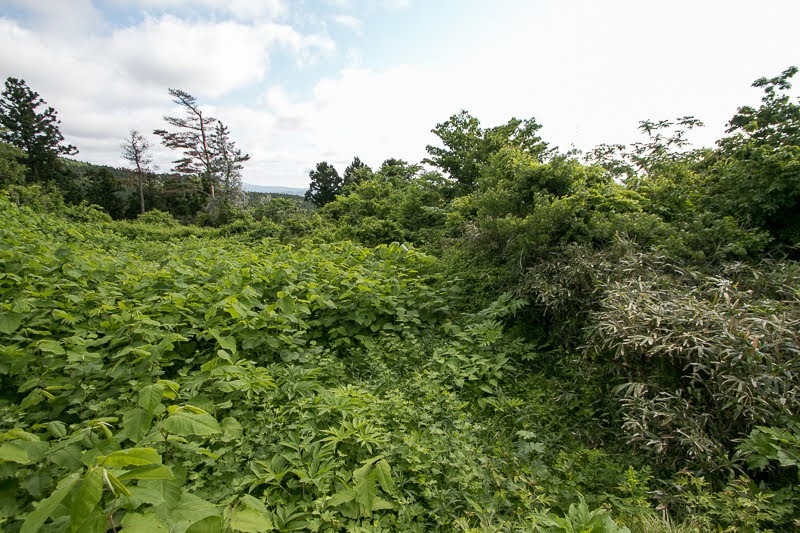 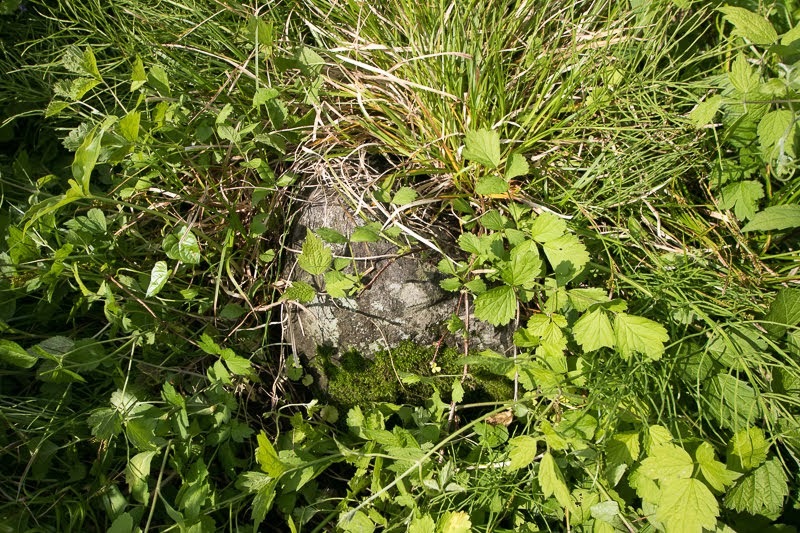 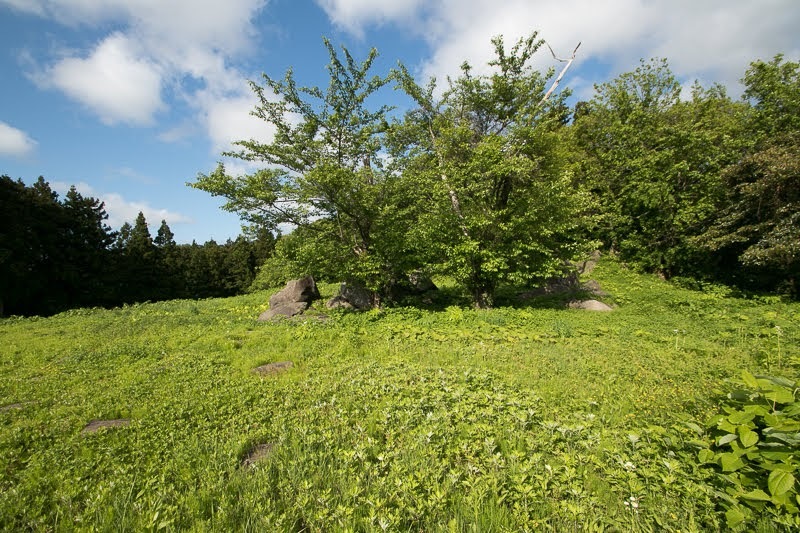 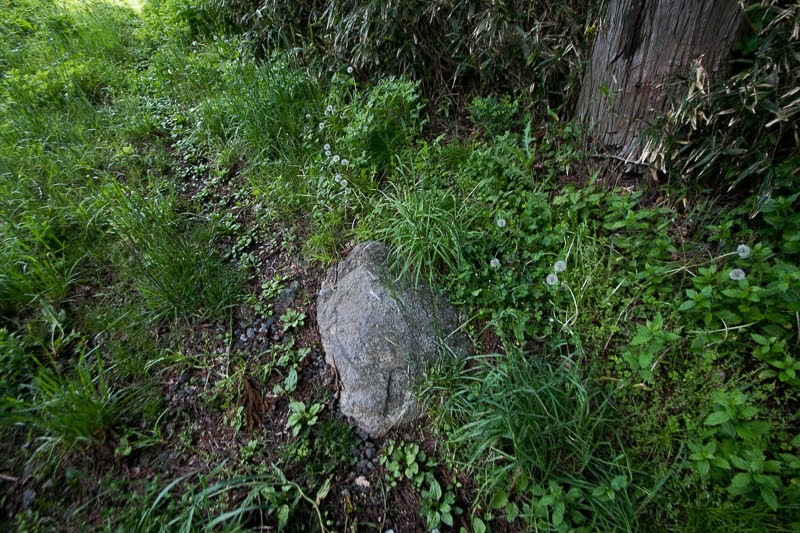 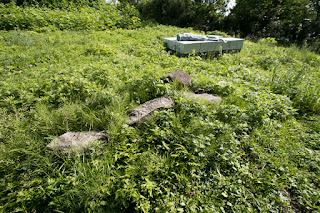 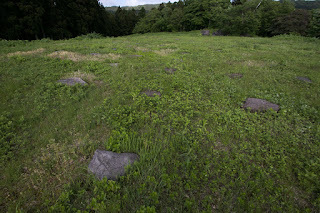 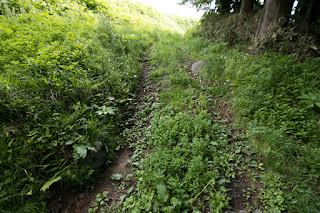 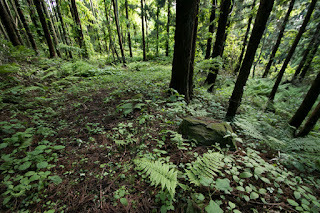 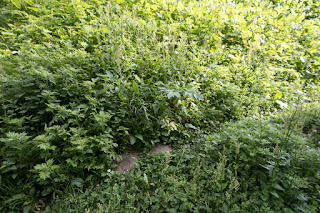 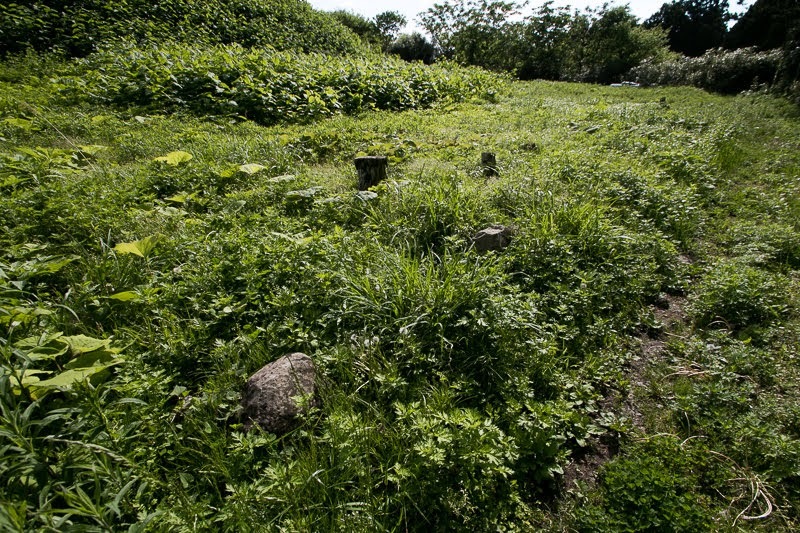 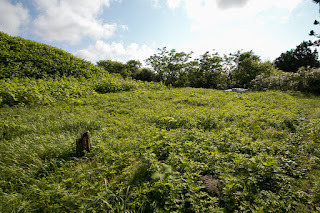 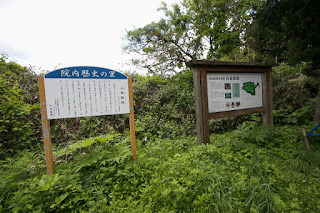 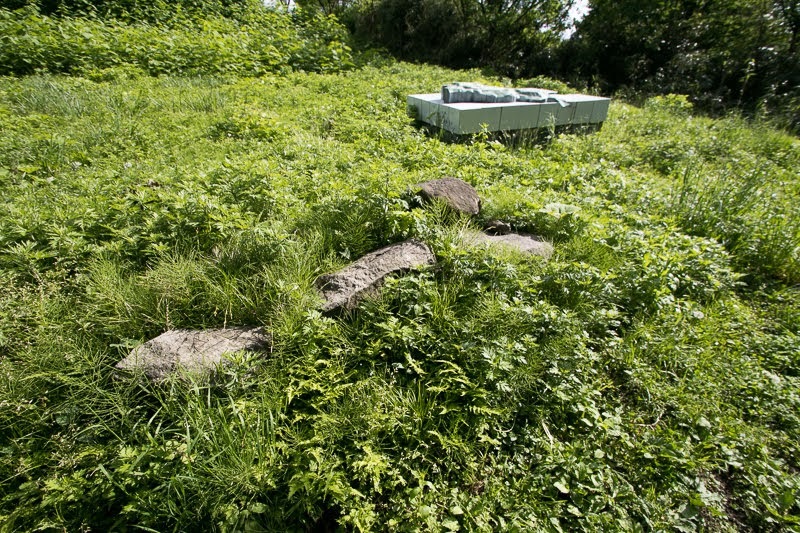 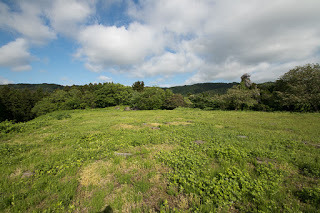 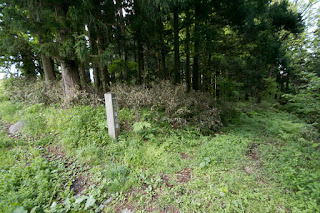 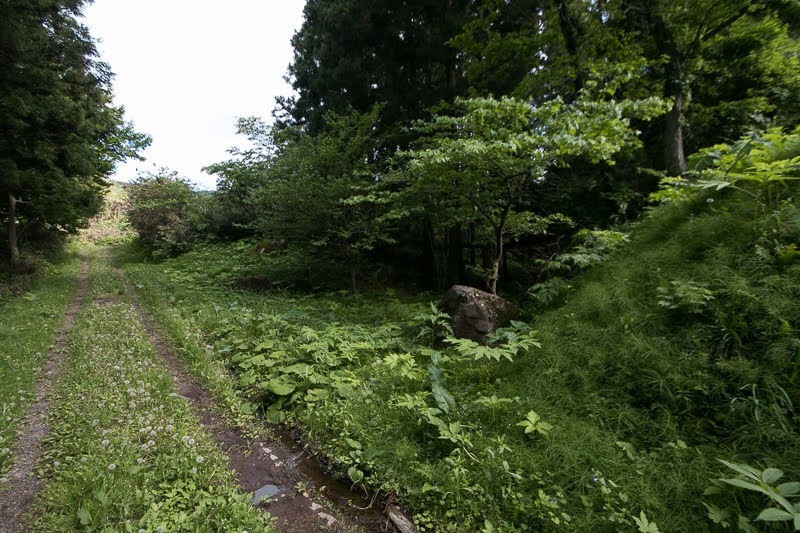 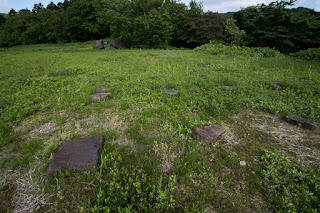 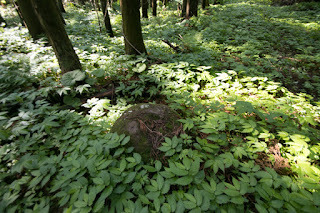 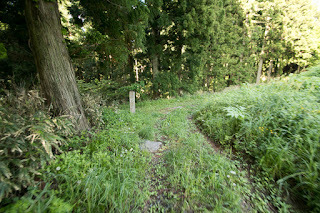 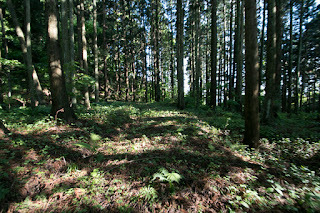 There found many cornerstones along with the ruin of Japanese garden and line of stone walls creating small square place, and there might be the main residence of Nikaho clan here. 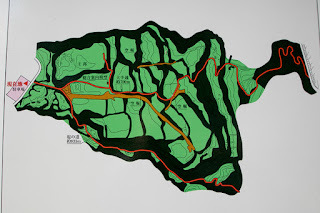 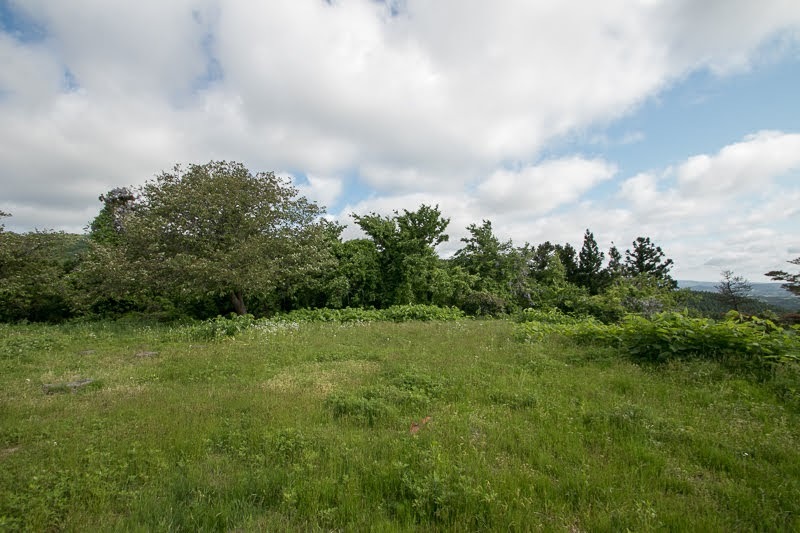 At the west of central area, many flat spaces were built along with the gentle slope of the height. 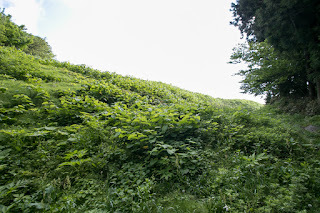 The end of the valley is the main entrance of the castle, which has a road formed with a line of stone walls. 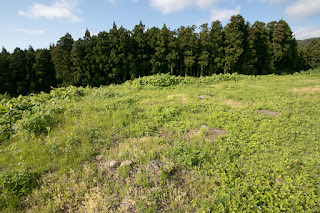 Total length of the castle is over 400 meter and has over 20 terraces, and shows the power and wealth of the holder, Yamane castle is equivalent to the leader of Yuri Juni To. 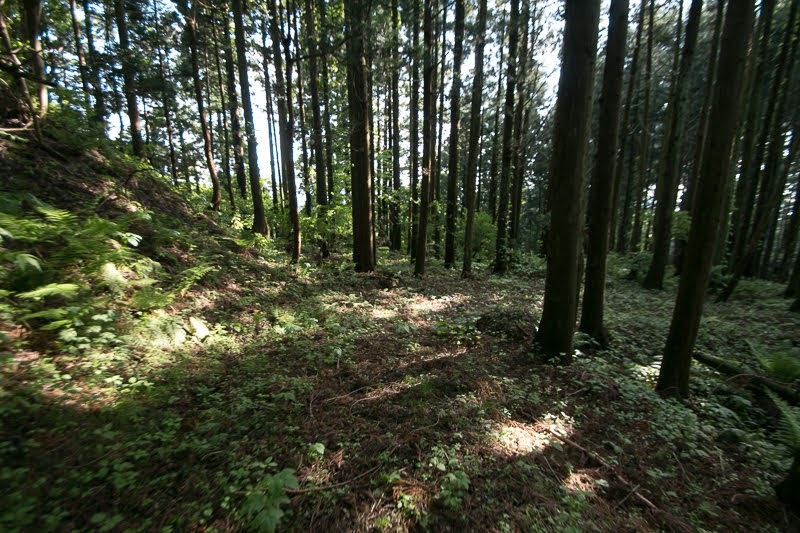 In the last quarter of 16th century, local lords of Yuri area and Nikaho area were involved in the conflict of much larger powers. 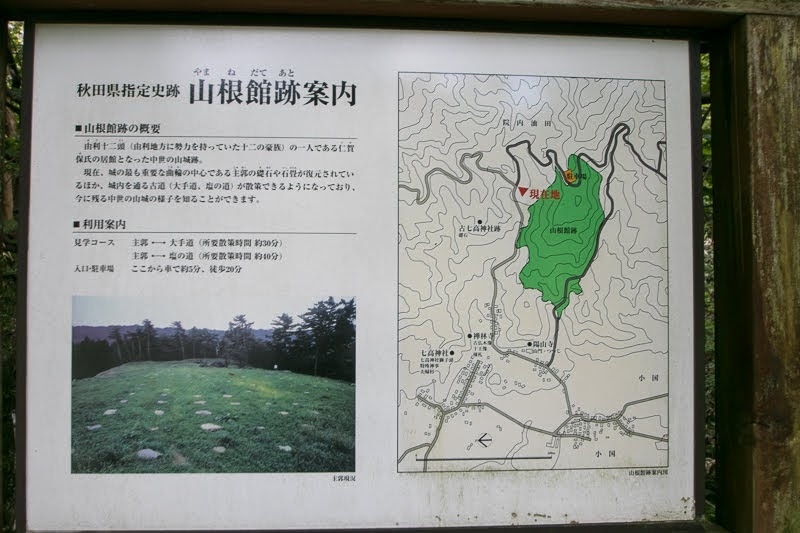 Daihoji clan which was the master of Nikaho clan lost its power by internal conflicts and was ruined by Mogami clan which rose to the ruler of Yamagata basin in 1587, but next year Mogami clan lost Sakata area at the battle of Jugorigahara before Uesugi clan. 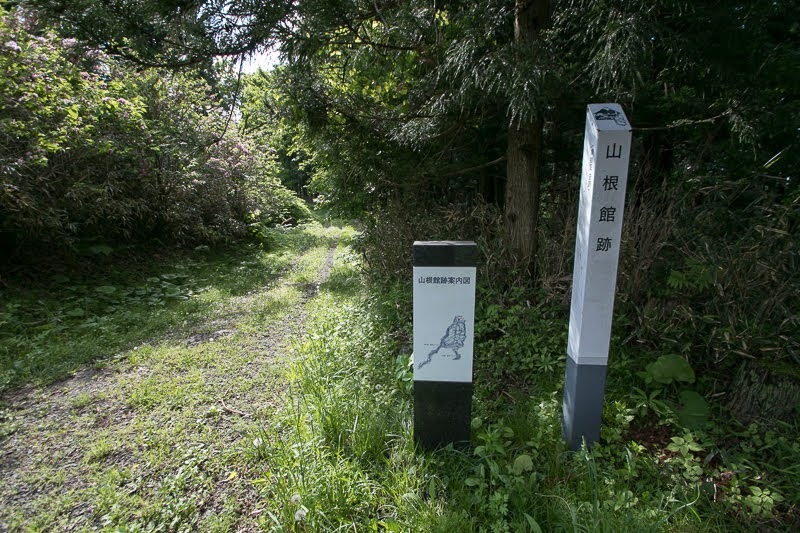 On the other hand, Onodera clan which was the master of Yajima clan also lost their power before Mogami clan. 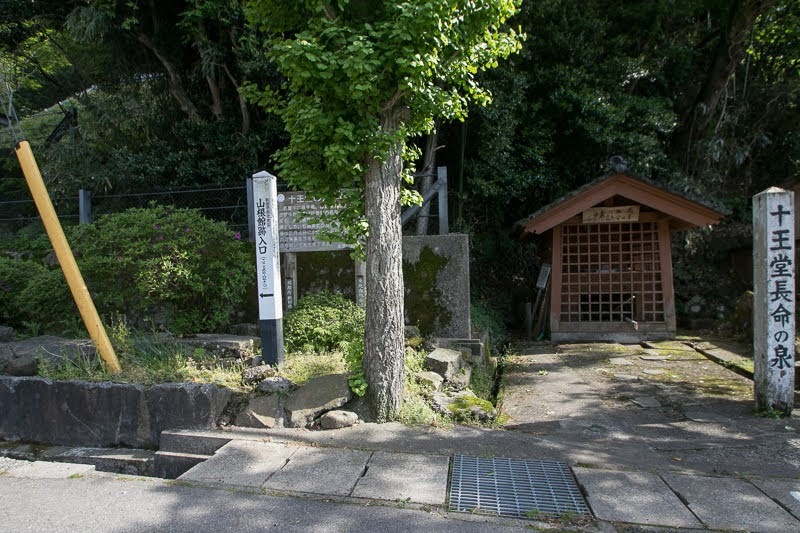 Yajima clan lost its power by internal conflict occurred by the plot of Mogami clan, and Nikaho clan finally could ruin Yajima clan in 1592. 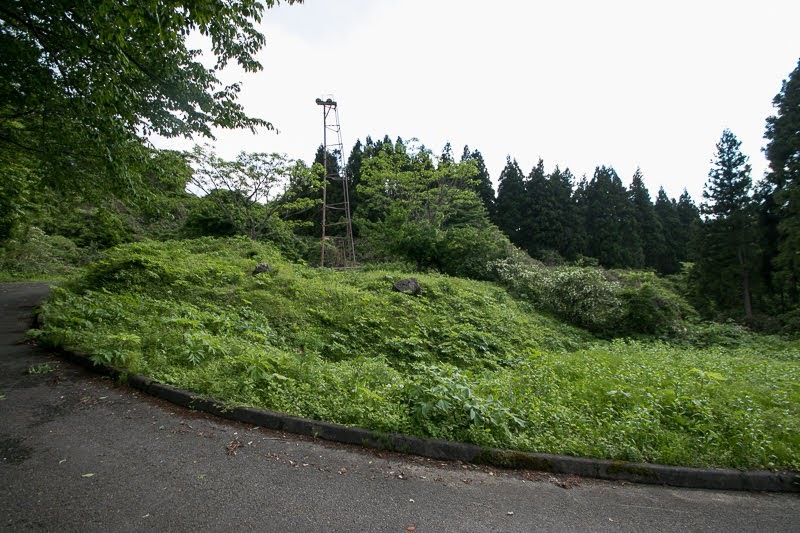 Nikaho clan fixed their position as the leader of five remaining lords of Yuri area. 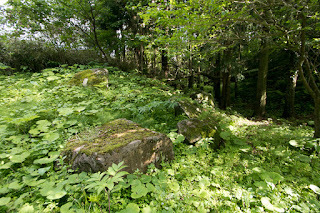 Under Toyotomi government, Nikaho clan survived as a small lord of Nikaho area, Furthermore, under next Tokugawa Shogunate, Nikaho clan once transferred to Hitachi province (Ibaraki prefecture) to give their territory to Mogami clan, but after the extinction of Mogami clan Nikaho clan could return to their original territory. 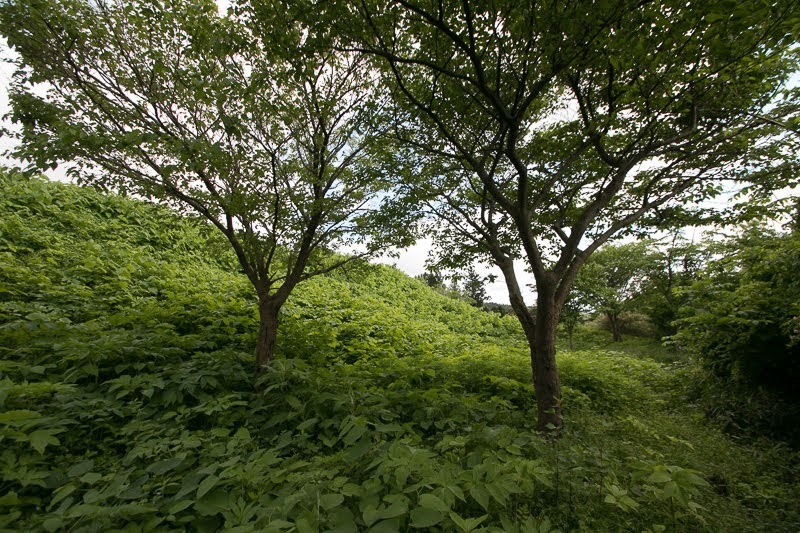 Yamane castle was abolished at the transfer of Nikaho clan to Hitachi province. 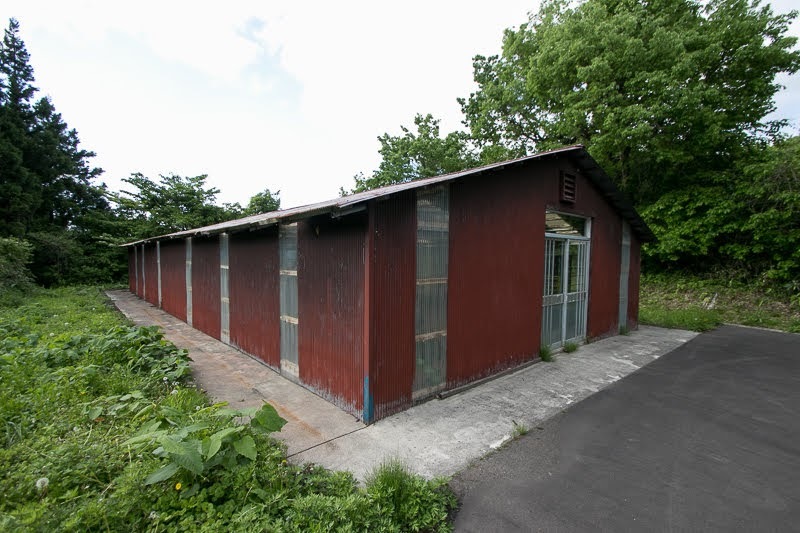 After the return to Nikaho area, Nikaho clan did not use Yamane castle anymore and built their administrative office at the center of current Nikaho city. 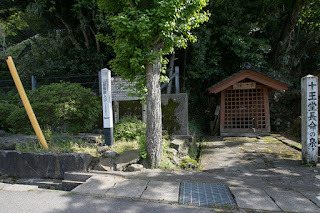 Descendants of Nikaho clan survived Edo era as the retainers of Edo Shogunate by the end of the era. Because of the land structure the coastal area of current Akita prefecture, Yamagata prefecture and Niigata prefecture has several oilfields. 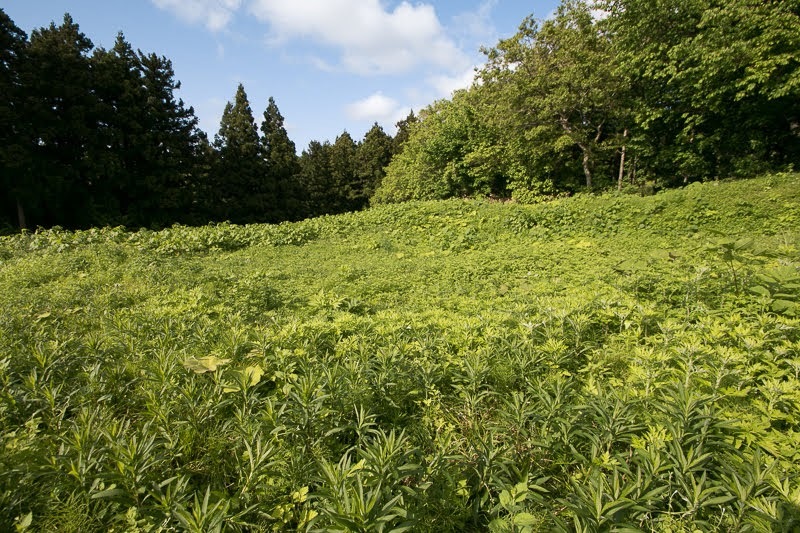 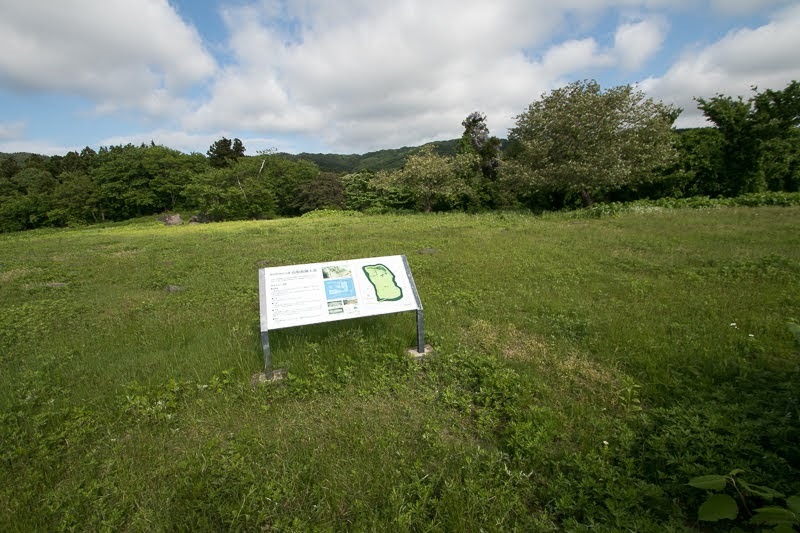 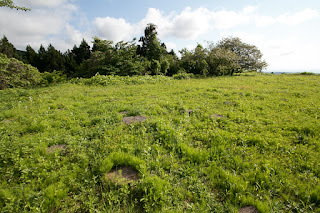 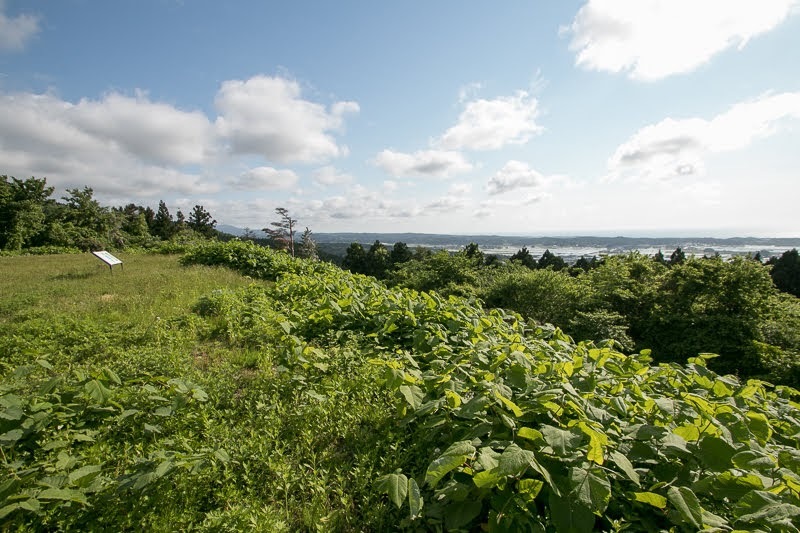 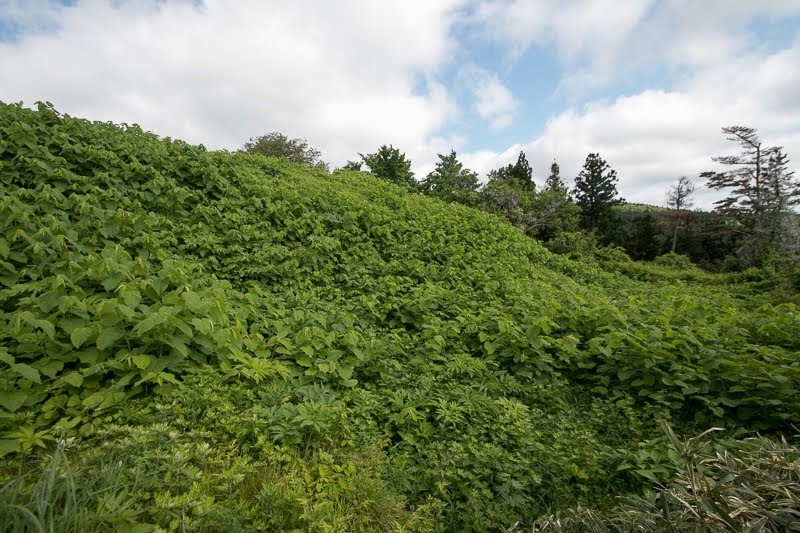 Innai area where Yamane castle locates has been known as an exposed layer of oil field, and after the study of the land, a large oil field opened in the first quarter of 20th century. 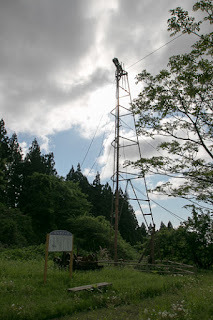 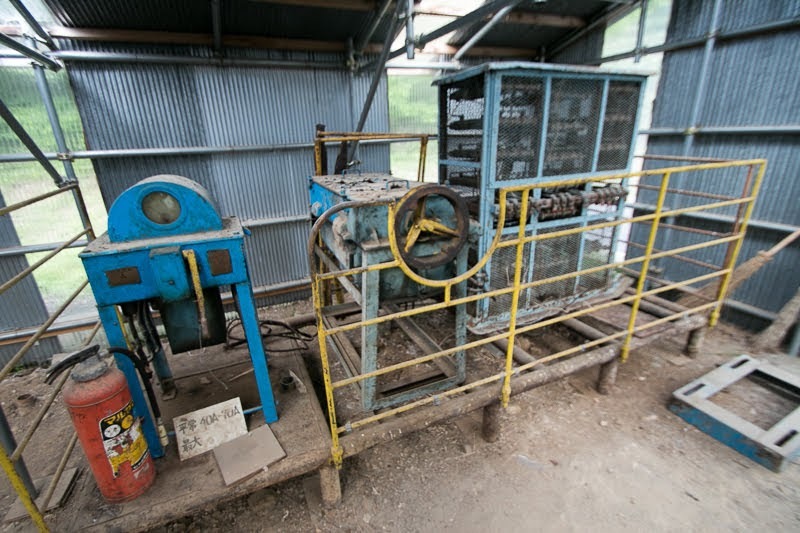 This oilfield grew to the one of the largest in the country, and supported modernization of Japan. 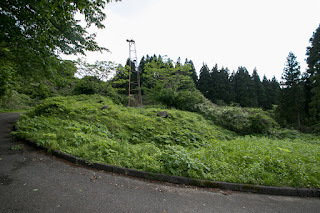 Formerly many towers covered the hills, and the production of oil reached to about 700 thousand barrel par year. 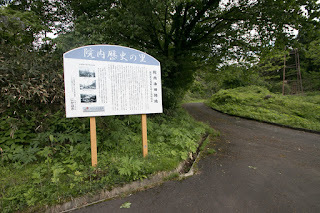 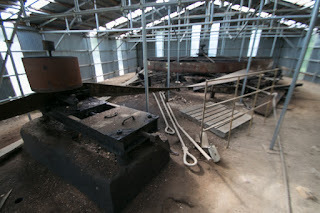 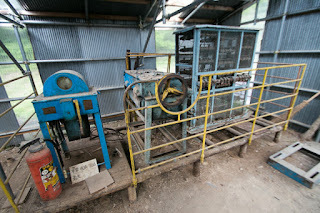 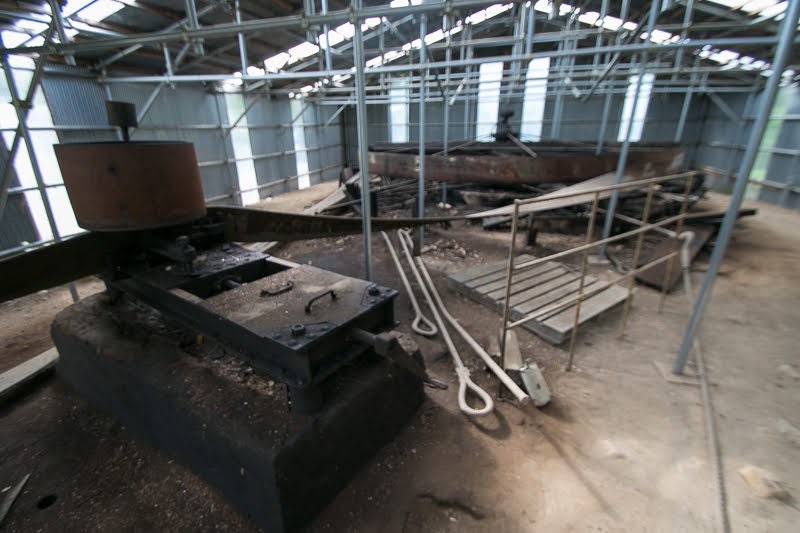 Oil refinery was built at Nikaho area, and supported trouble period of Japan during World War 2 by domestic production. 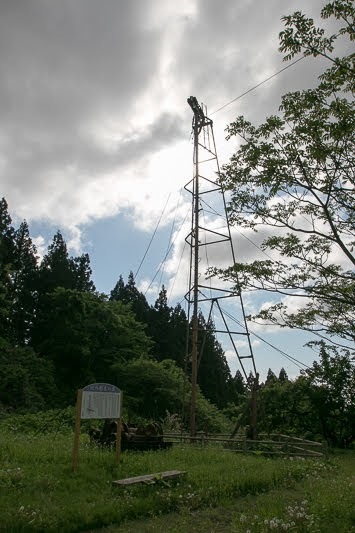 But after the war, facing the decrease of production and cheaper imported oils, production of oils at Innai oilfield ended in 1995 then Innai area returned to a quiet town as before. 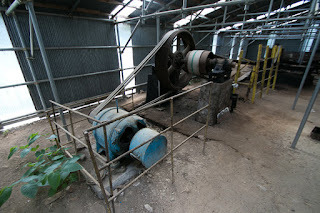 Today several machines providing the power are kept as a memorial along with the towers, just at the below of castle ruins. 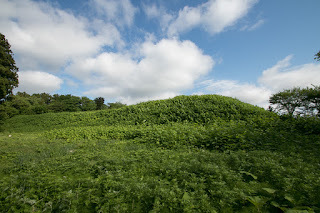 Today the ruin of medieval castle and modern oil production both stands at quiet hill. Looking at this scenery, an imagination comes around that if Nikaho clan kept as a lord of the area it could be a wealthy family from the wealth of the oil. 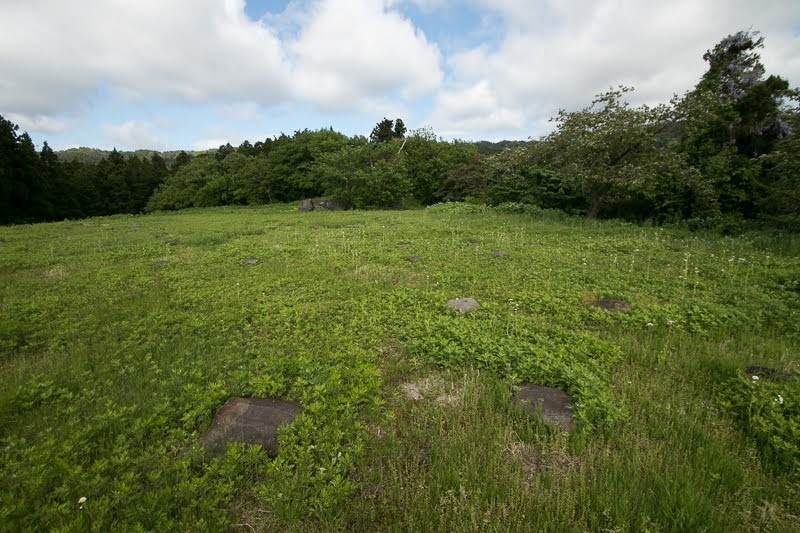 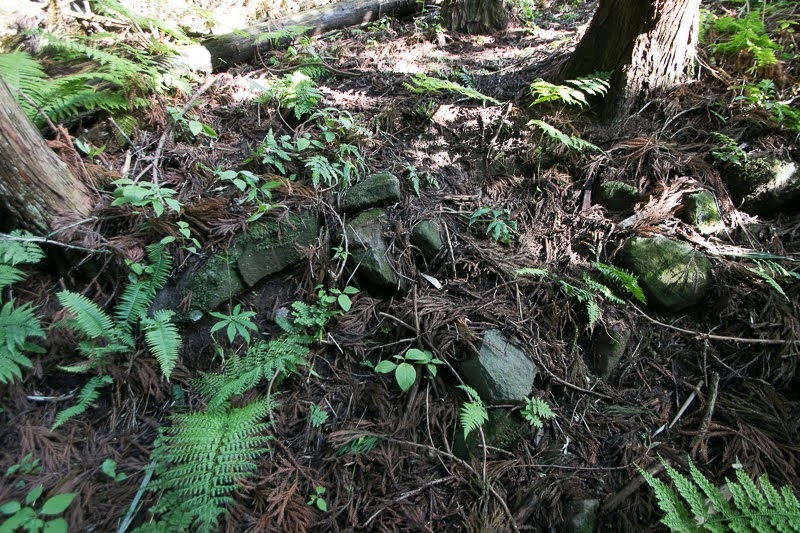 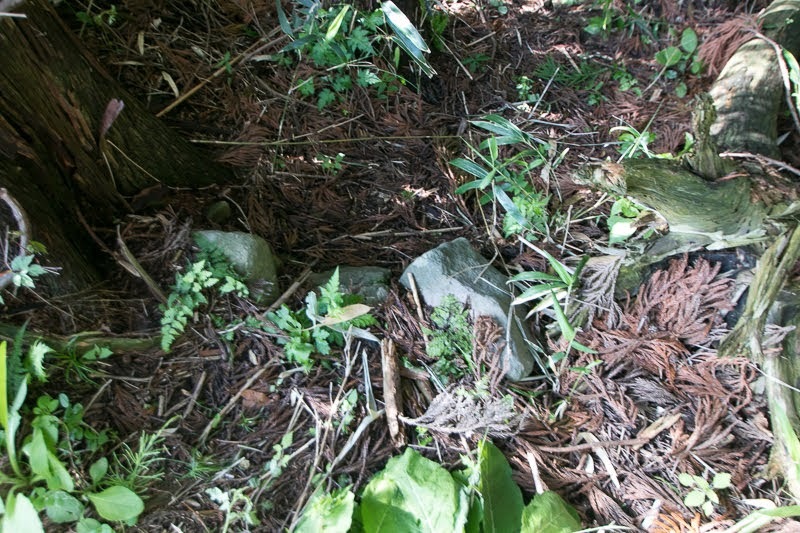 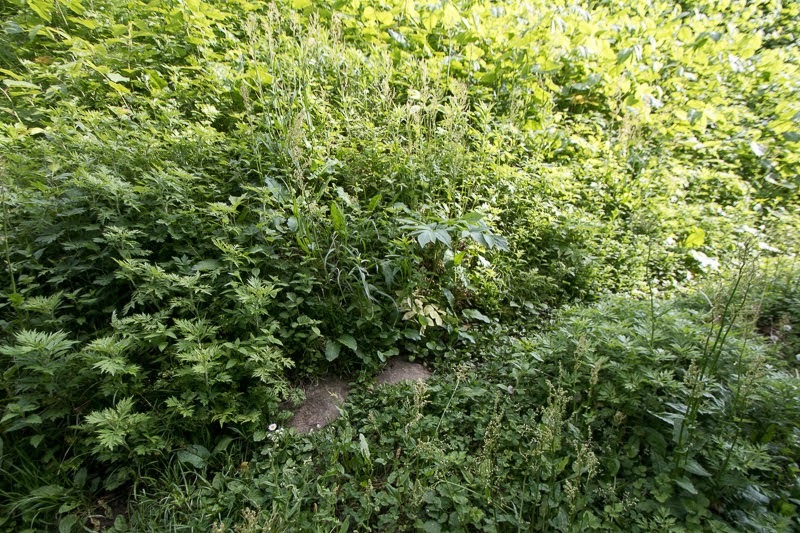 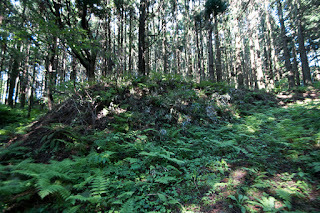 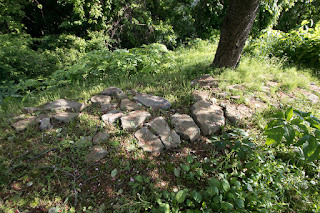 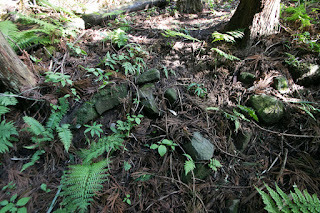 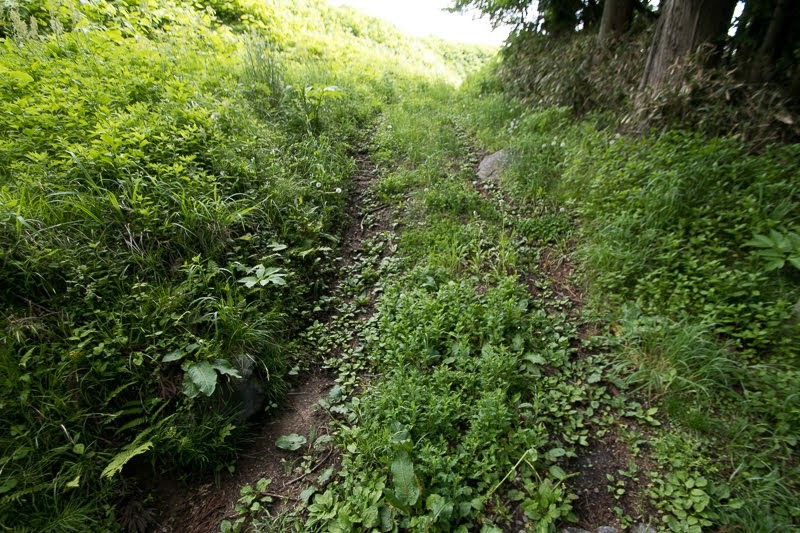 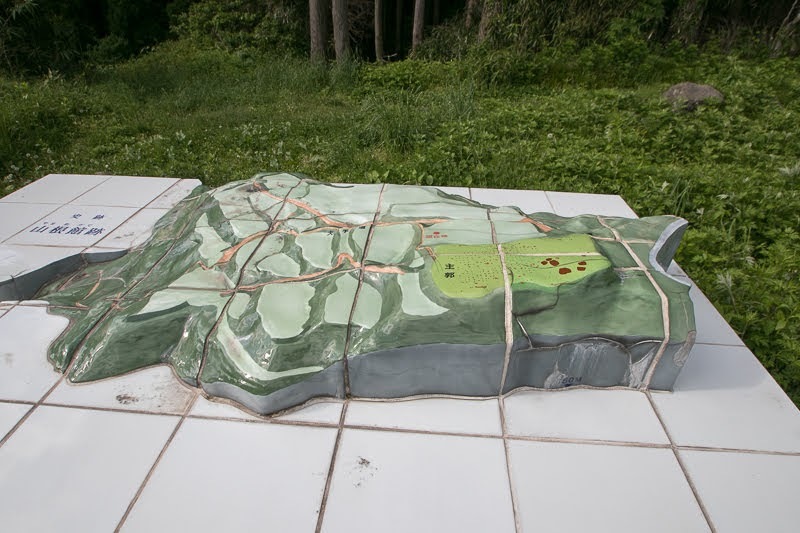 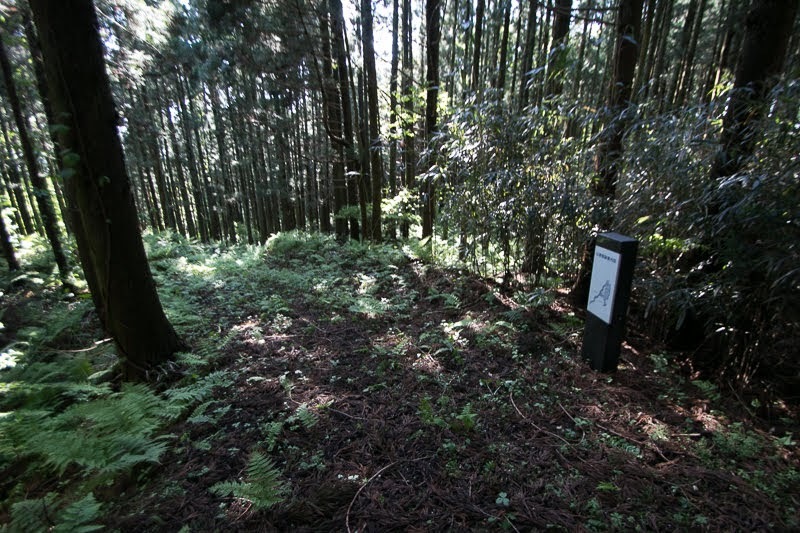 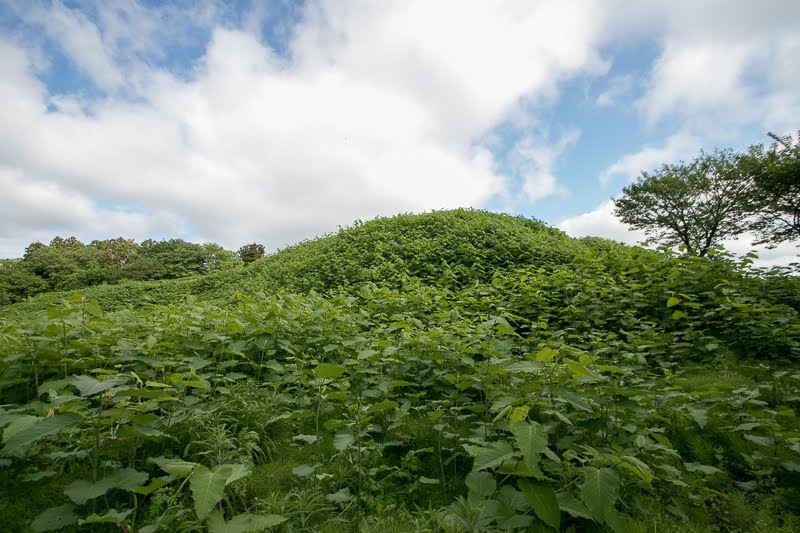 However, remaining remnants of the castle well shows the wealth of Nikaho clan compared with its small territory, even though lacked the wealth from oil. 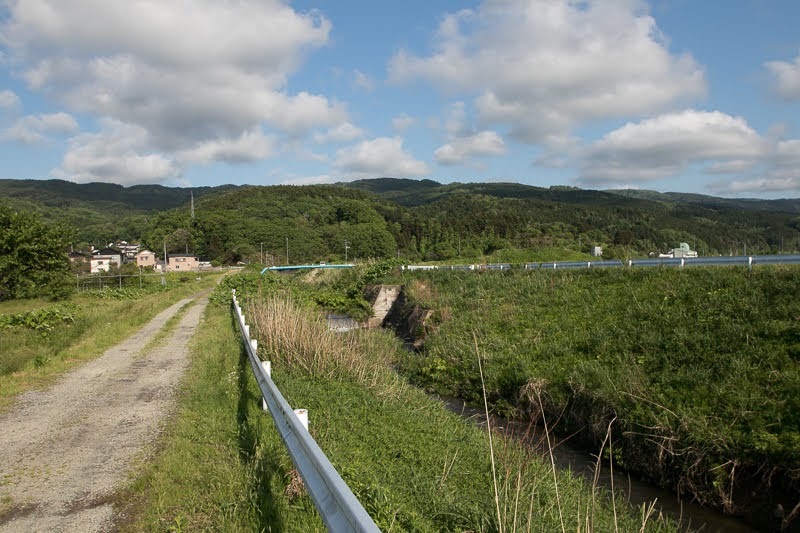 20 minutes drive from Nihonkai-Tohoku Jidoshado Expressway Nikaho interchange.